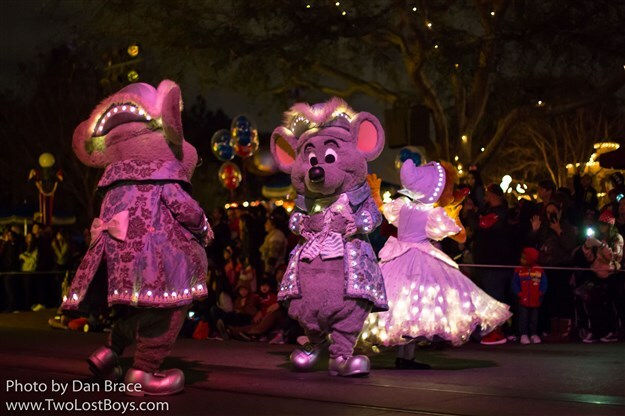 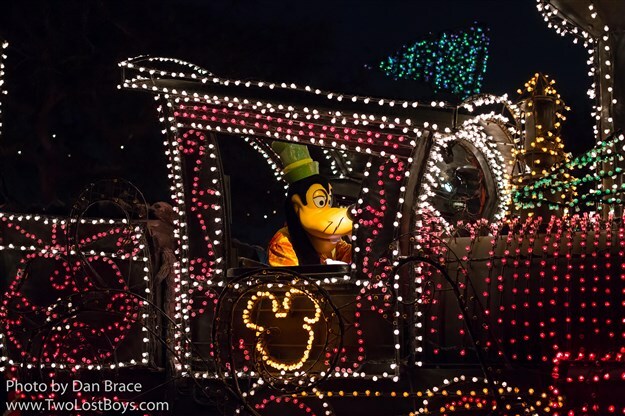 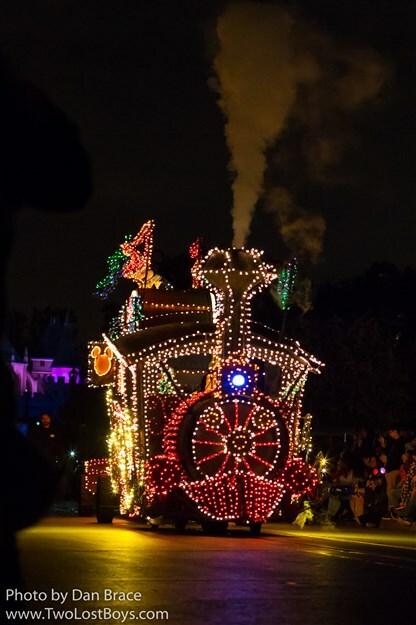 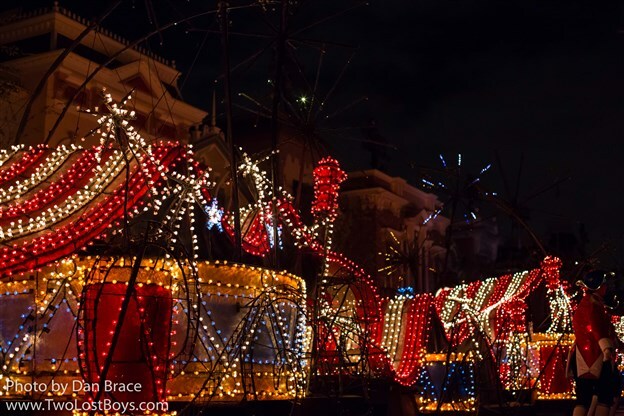 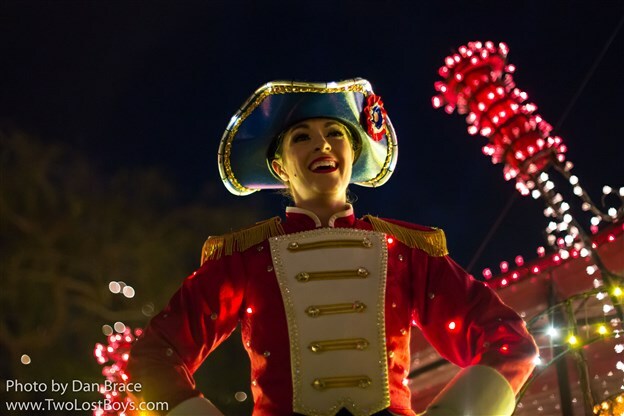 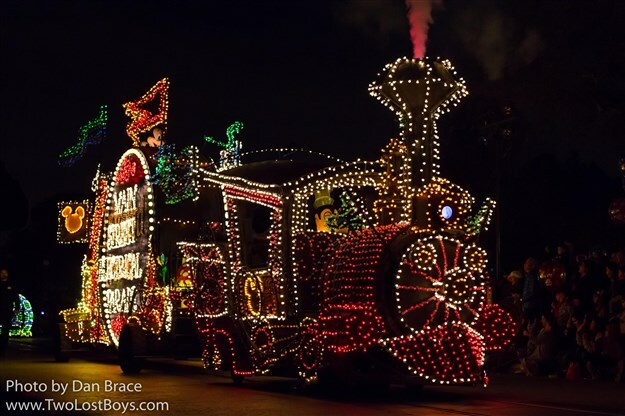 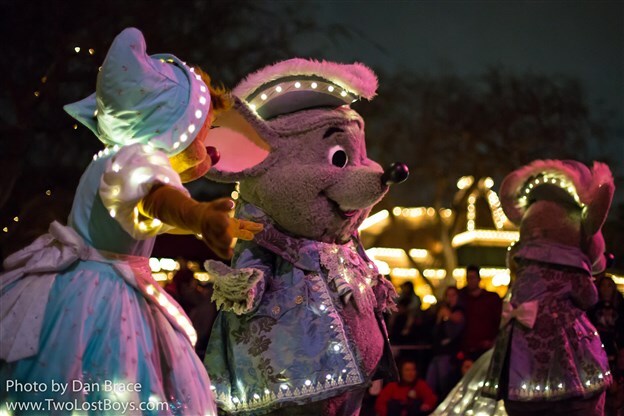 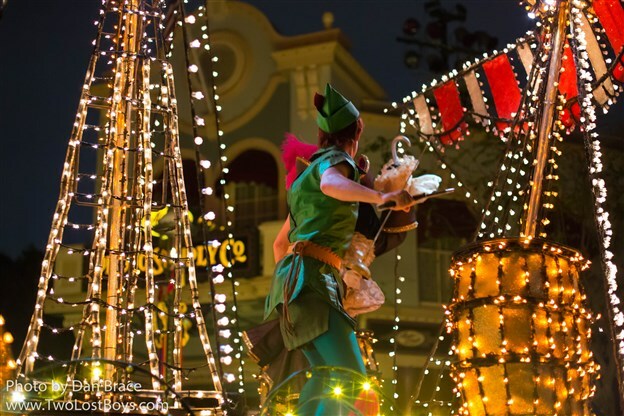 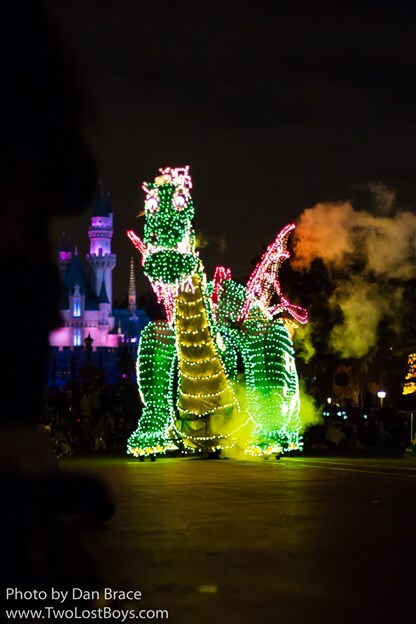 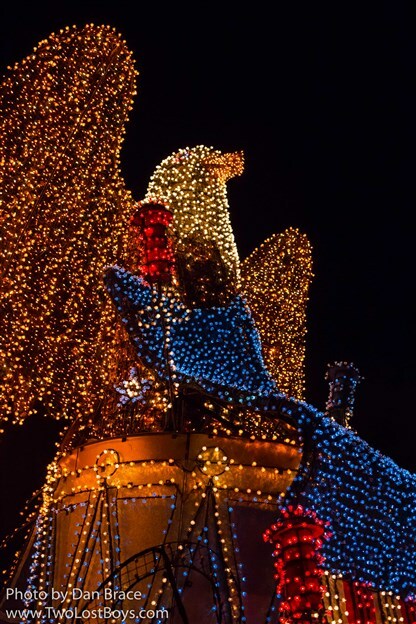 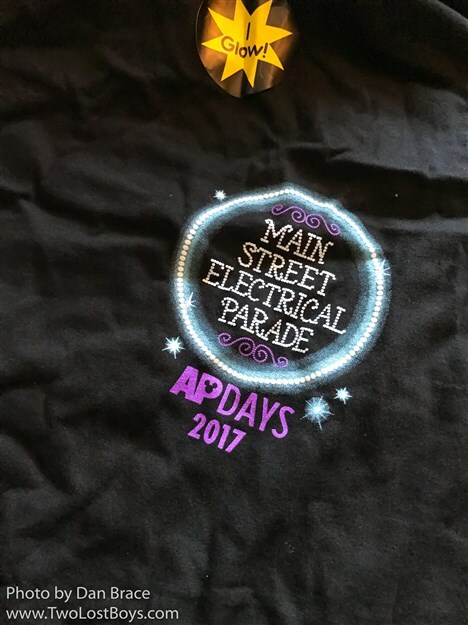 Last weekend (Friday 10th February), Disneyland began hosting the first of this year's AP Days events, which for this month is themed to the Main Street Electrical Parade. 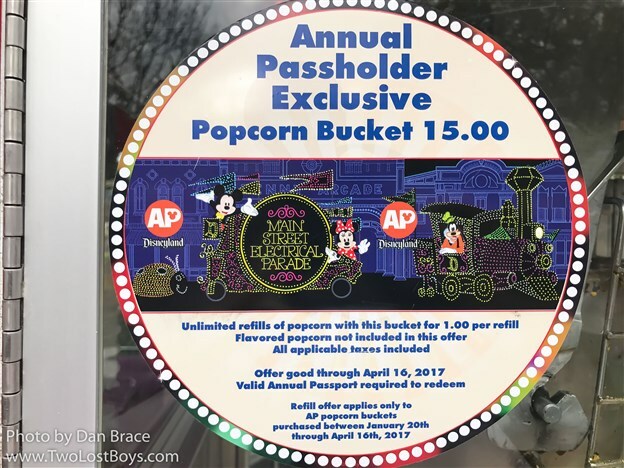 Running until March 9th, annual passholders can visit the park every week to receive special buttons, menu cards, and other giveaway items, and meet characters. 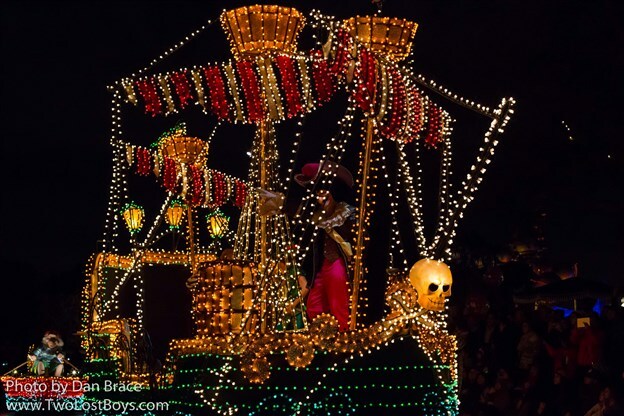 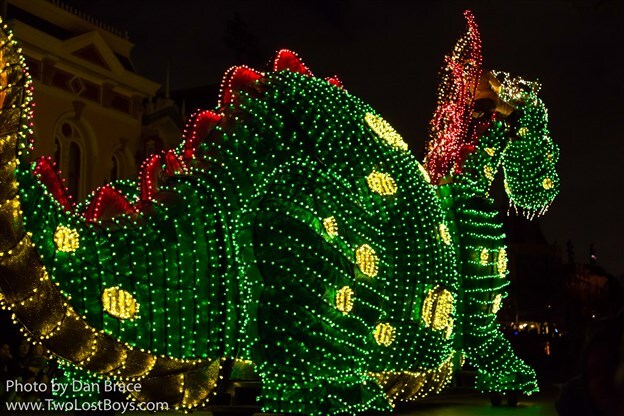 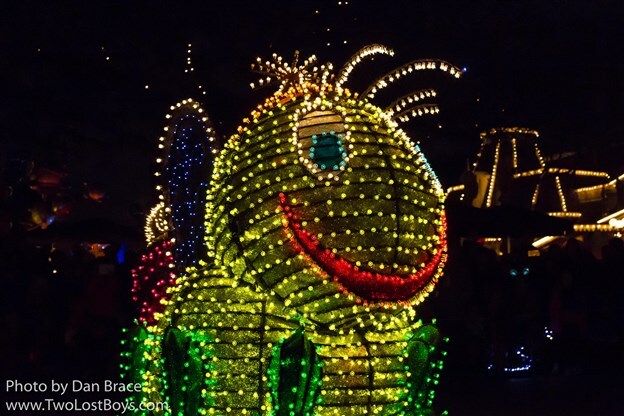 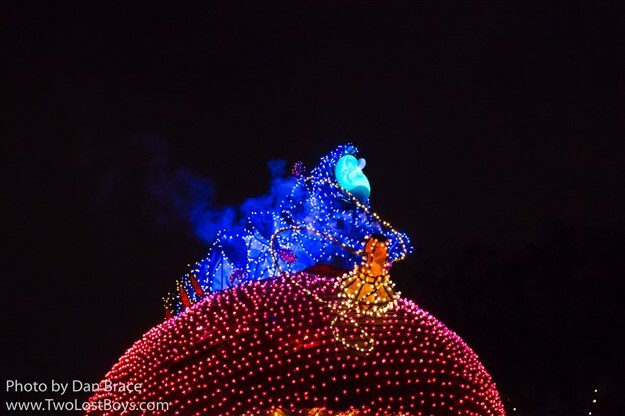 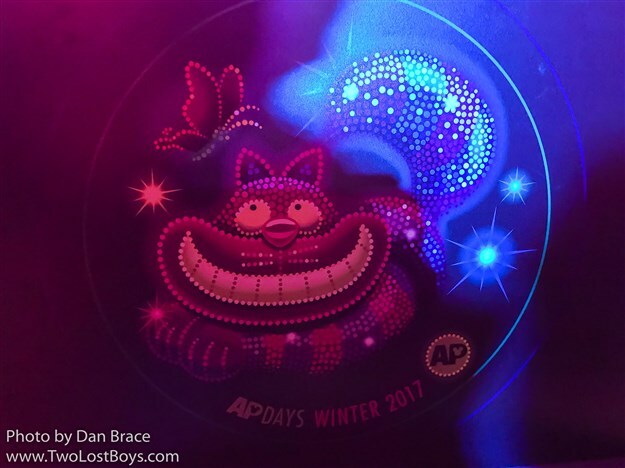 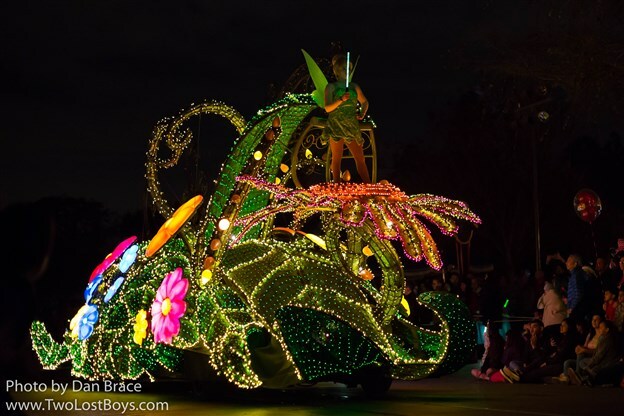 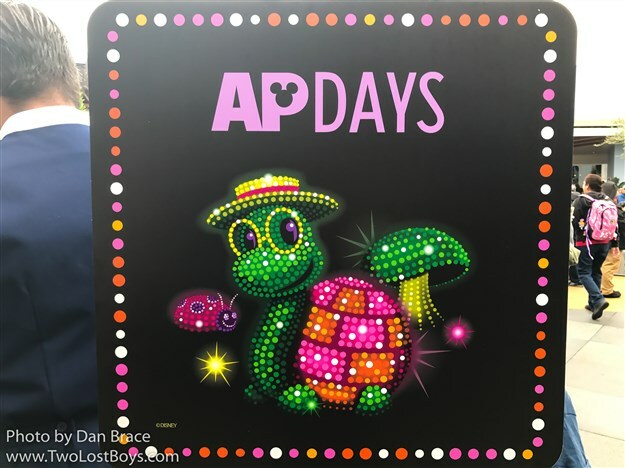 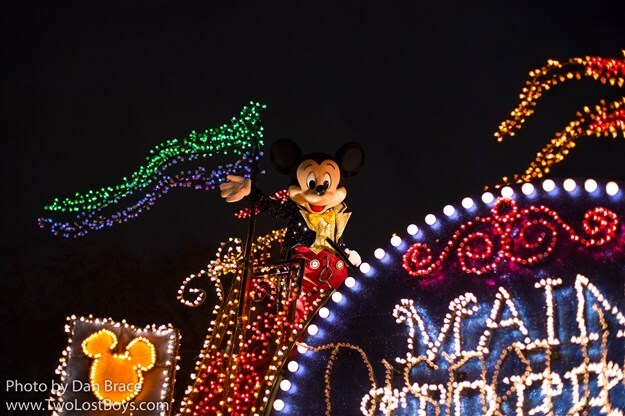 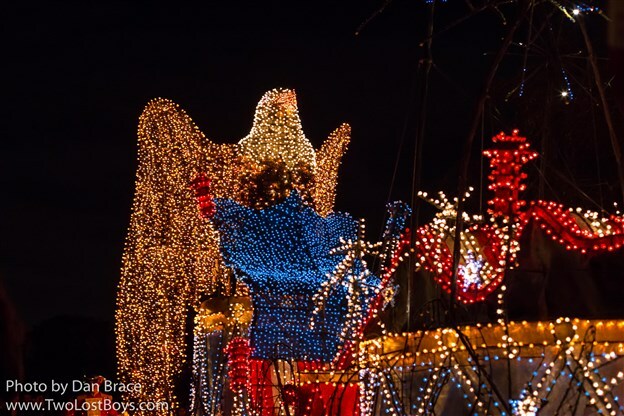 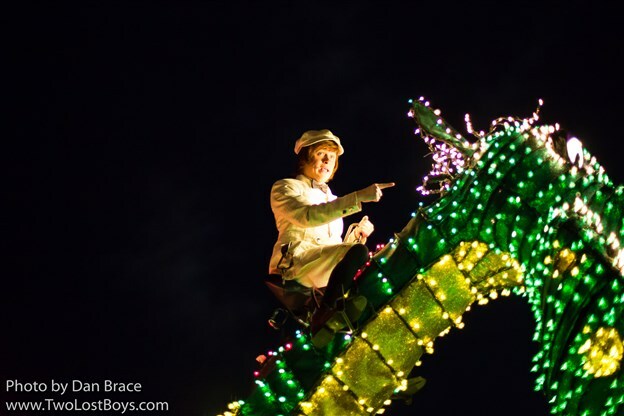 We were there this past weekend for the 2017 debut of AP Days, and to see the Main Street Electrical Parade (MSEP), and so I have my report here for you now! 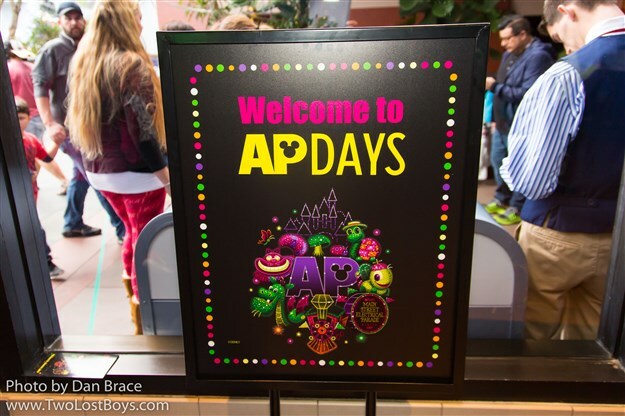 The hub of activity for AP Days is centered around the AP Welcome Center, which is located in the back of the Star Trader, in Tomorrowland (where the arcade once was, and where they have had characters such as Hiro and Baymax, Vanellope and Ralph in the past). 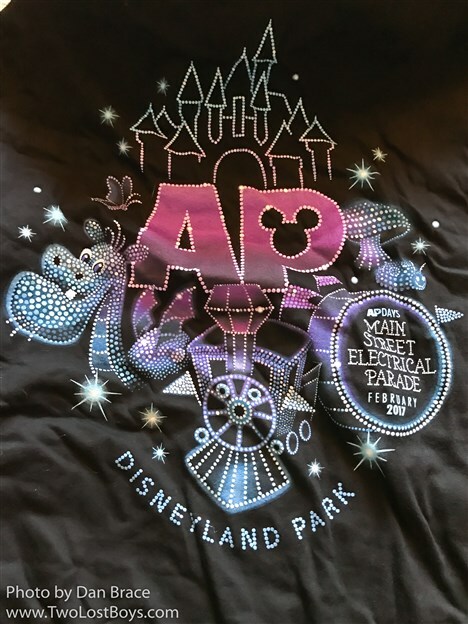 We arrived at the park just after lunchtime on Saturday and the line to get into the AP Center was super long. 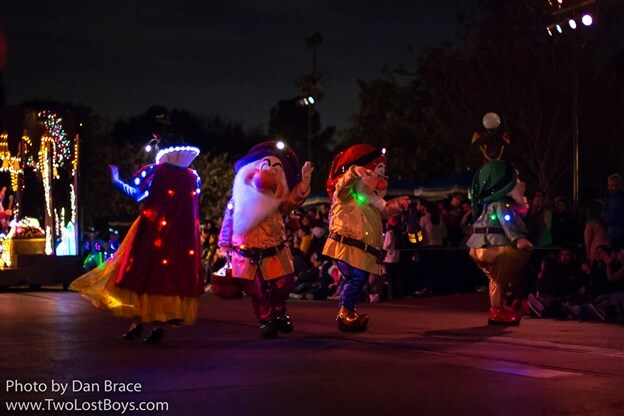 Luckily we had friends who had already started holding a place for our group, but we still had to wait a while. 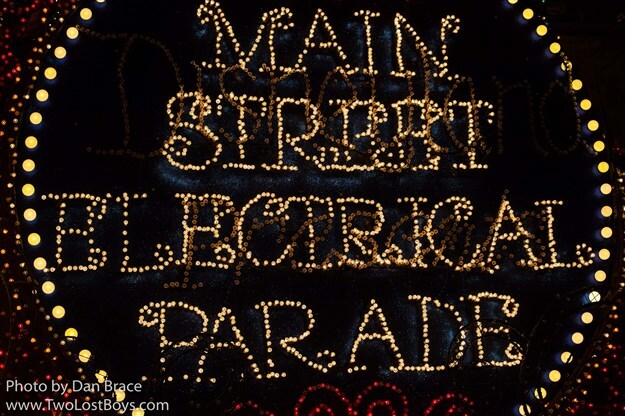 When I say the line was long, I mean it was long. 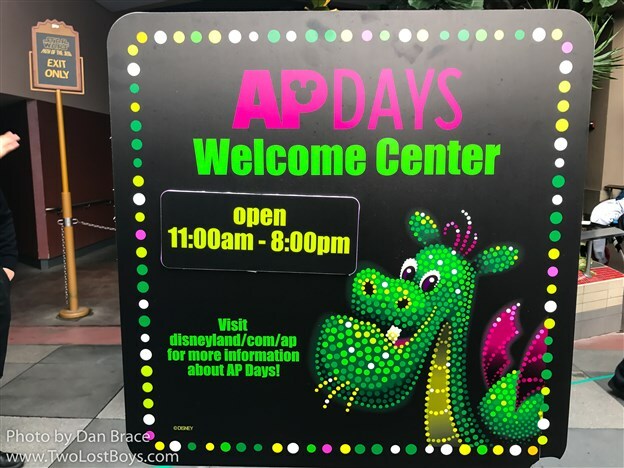 When we returned on Sunday morning, people were waiting at least two hours beforehand, from around 9am, to get in - the AP Welcome Center doesn't open until 11am, unfortunately. 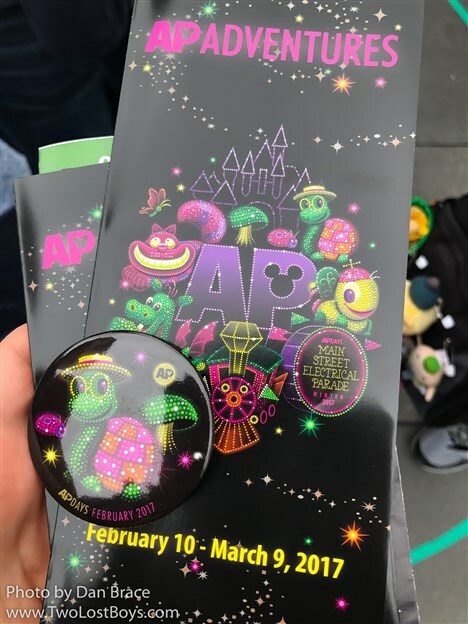 Before we head inside, it is worth pointing out that if you want the special AP Days button, you do not need to stand in the AP Welcome Center line. 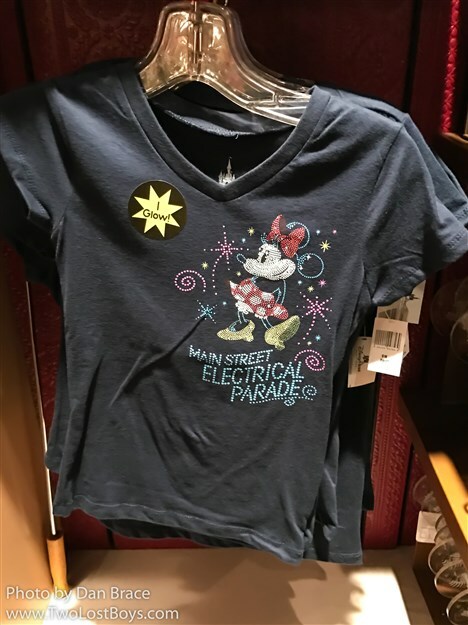 There is a separate line outside for that. 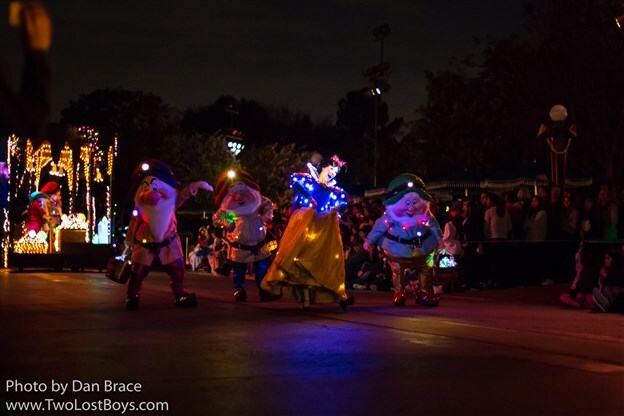 While this was also quite chaotic, it was definitely a lot more expedient than the other line. 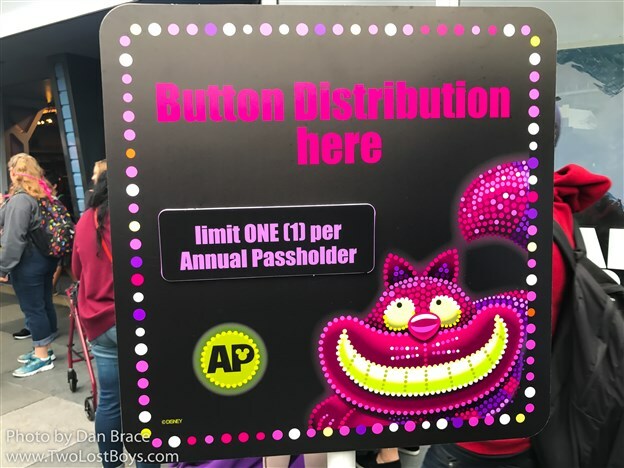 Sadly you can only claim one button per passholder, per week. 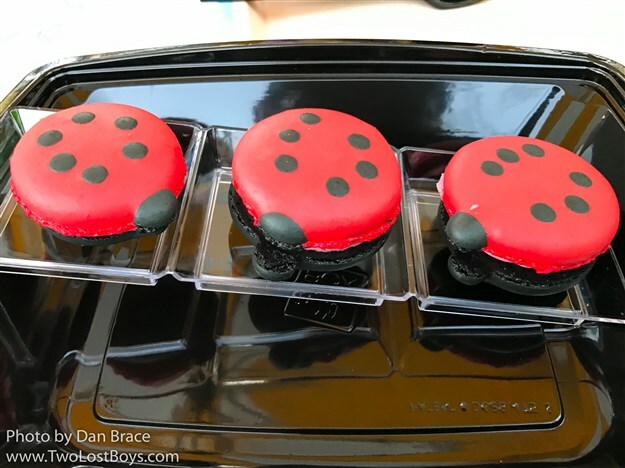 The button design changes each week. 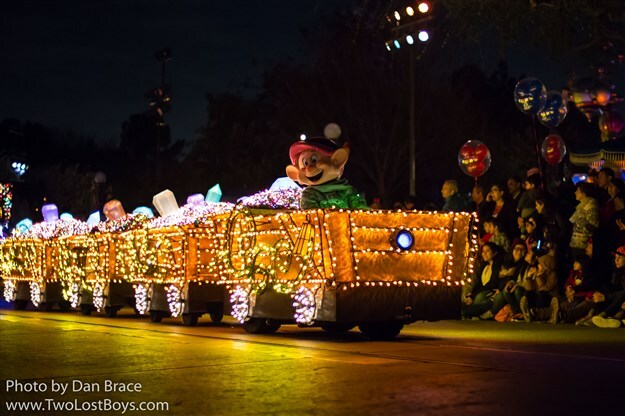 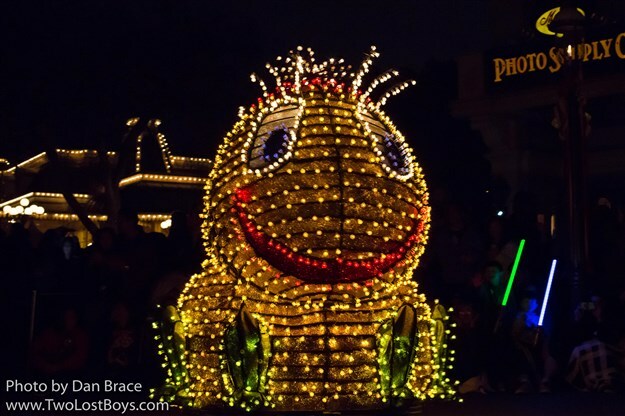 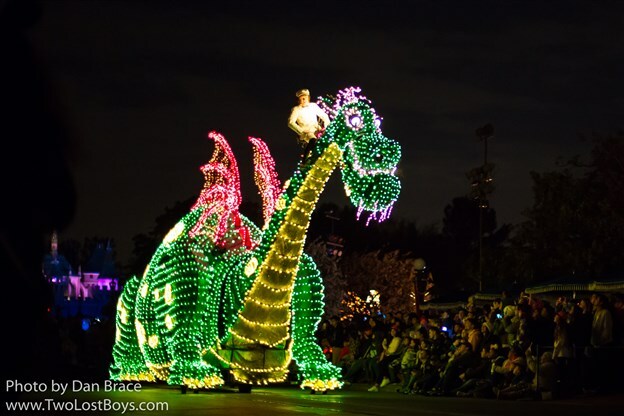 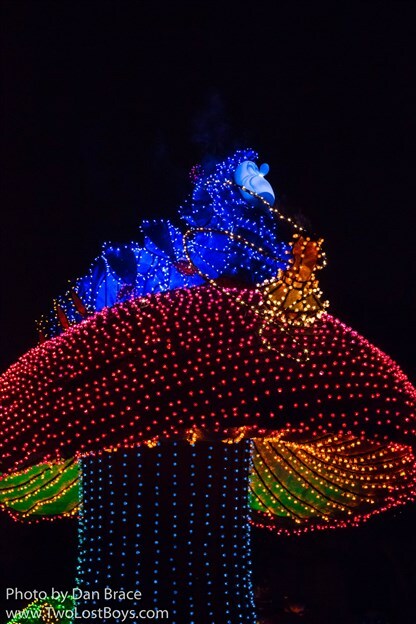 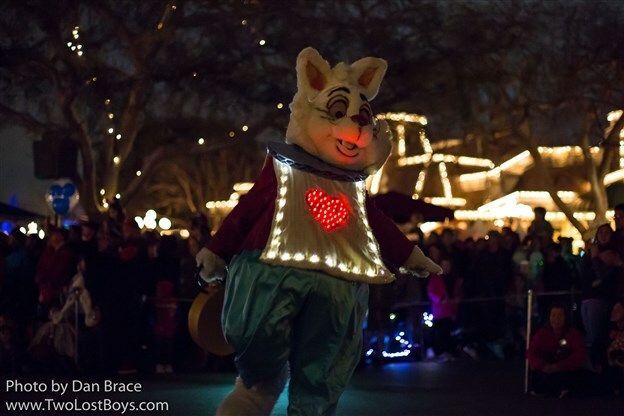 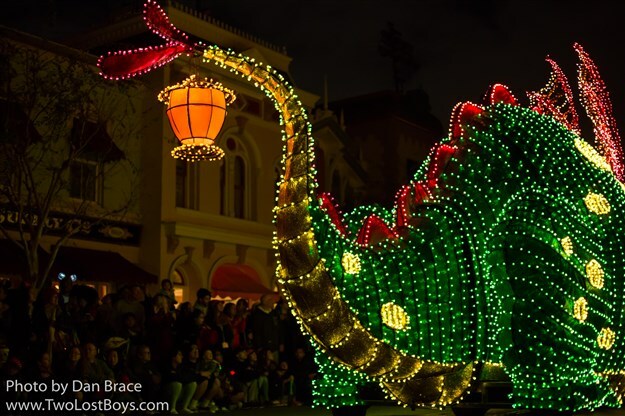 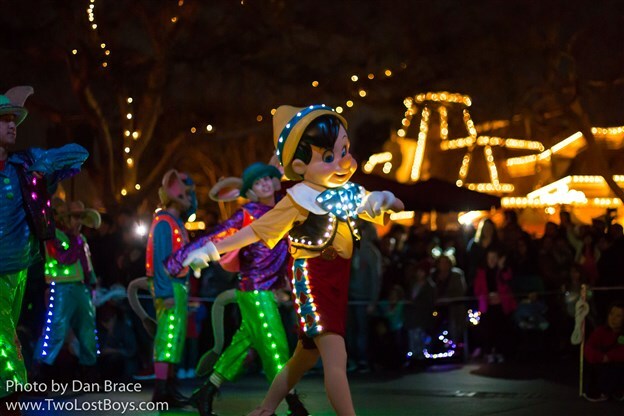 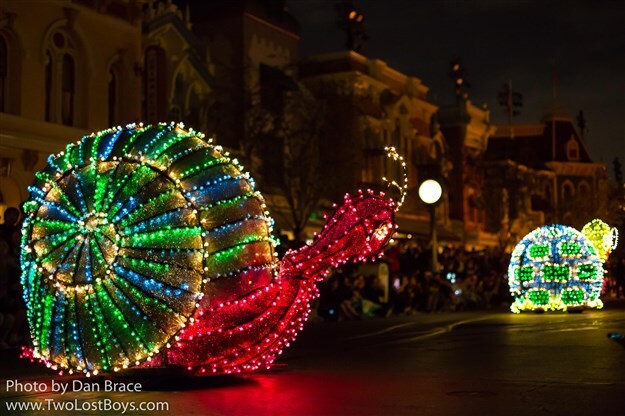 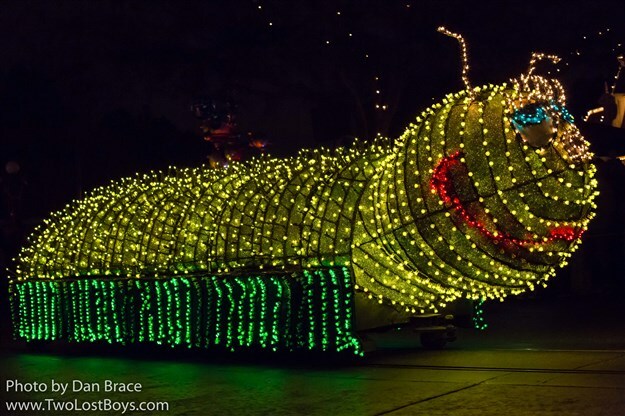 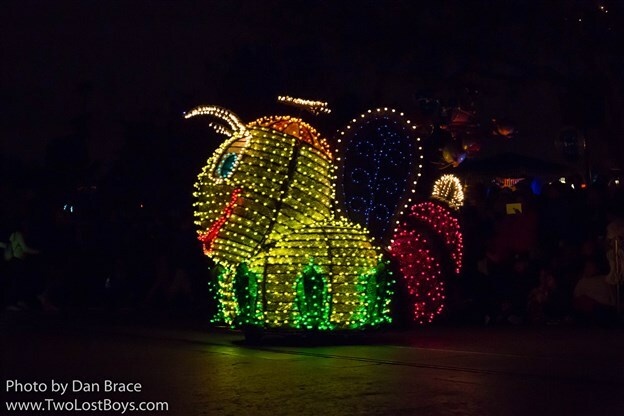 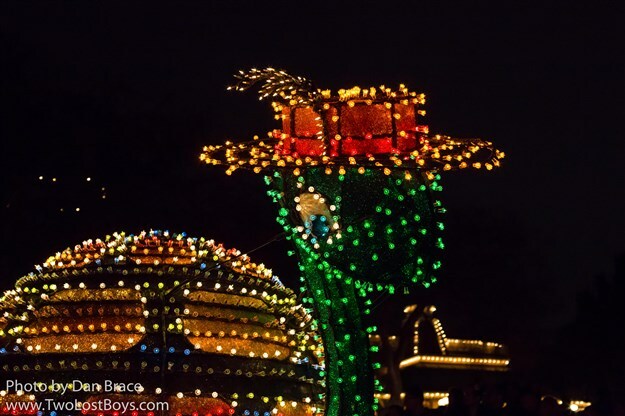 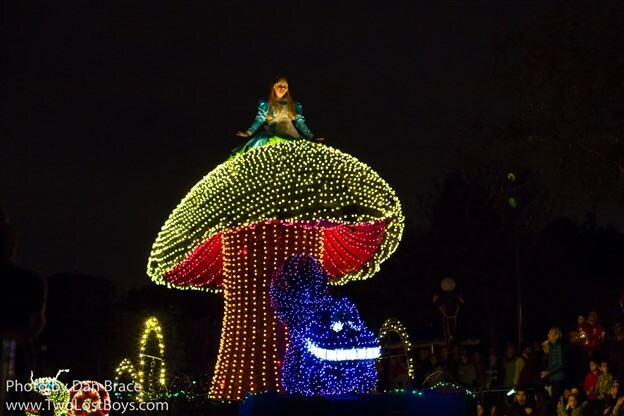 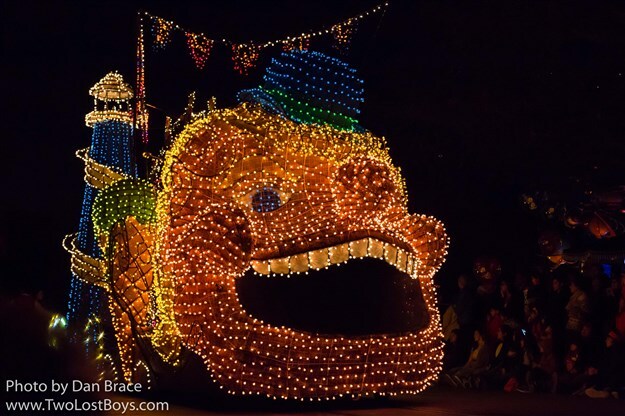 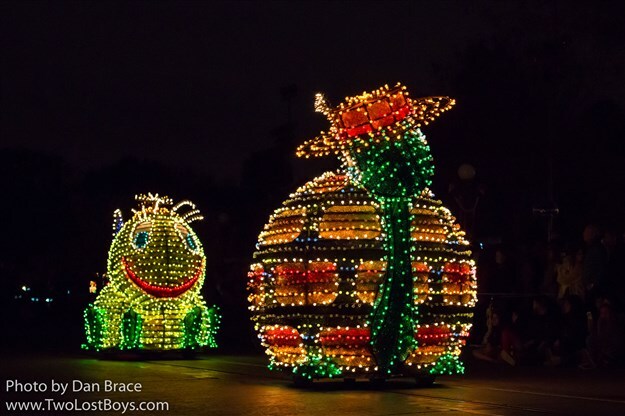 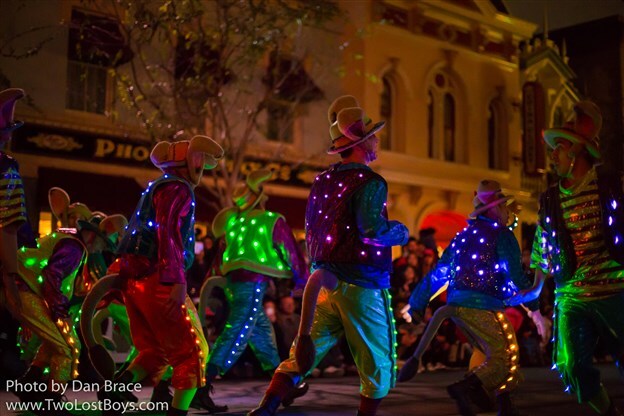 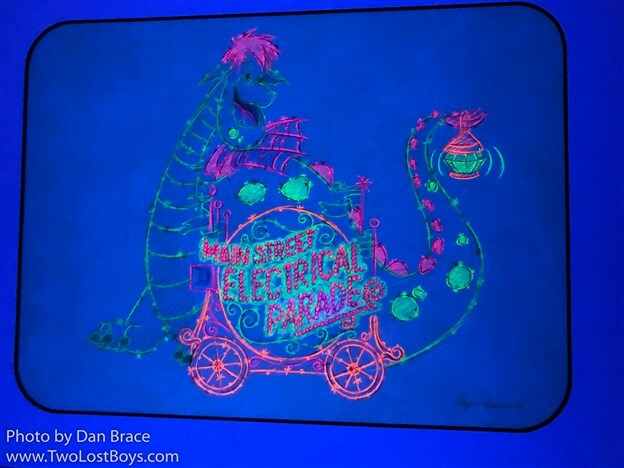 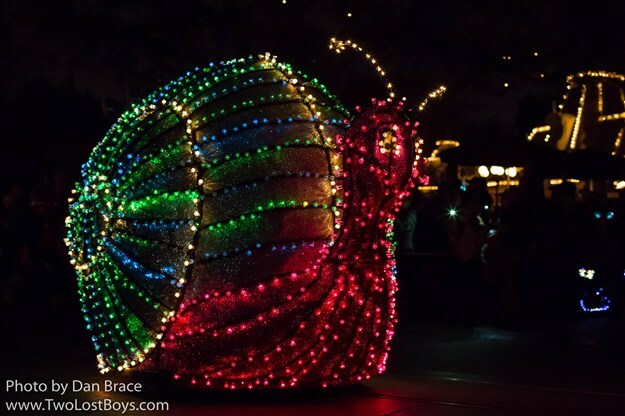 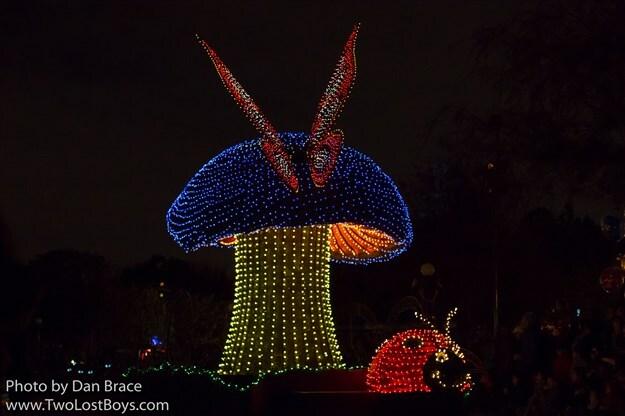 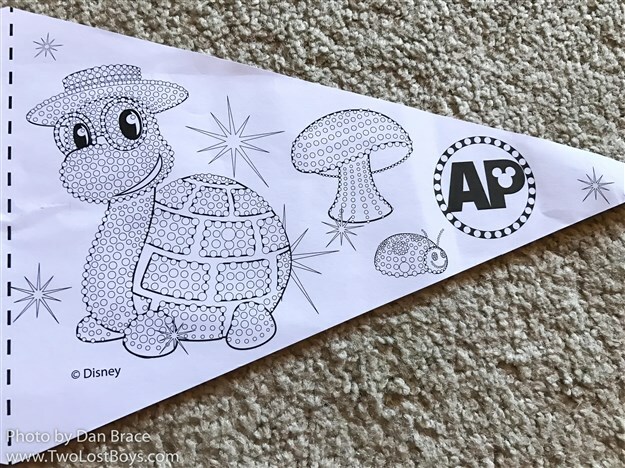 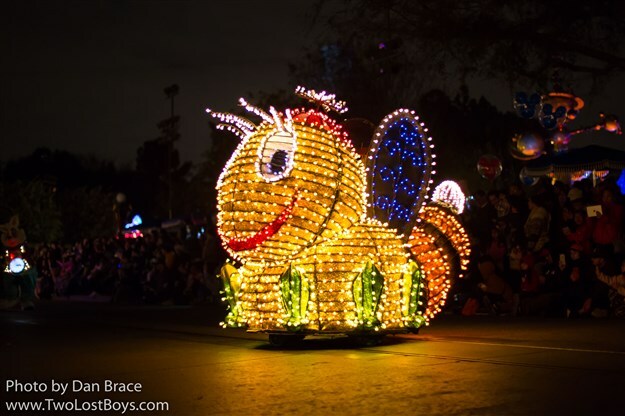 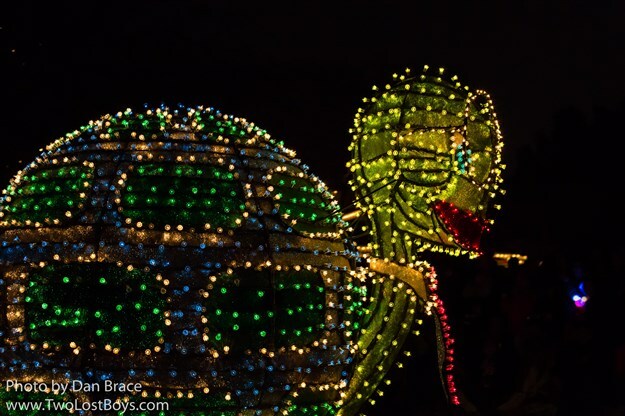 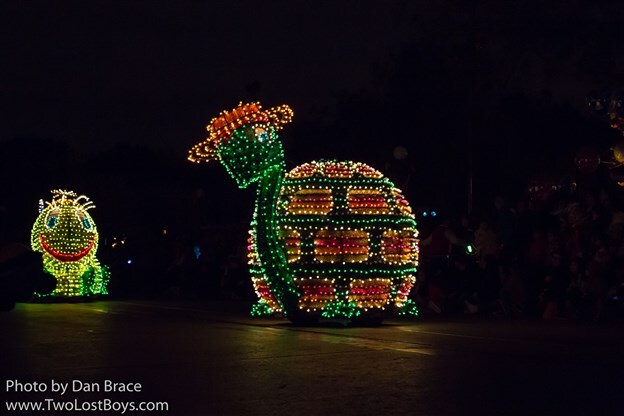 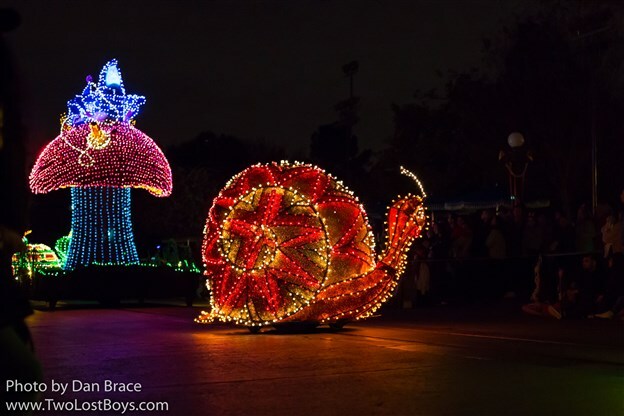 This week's design was of the cute Main Street Electrical Parade turtle. 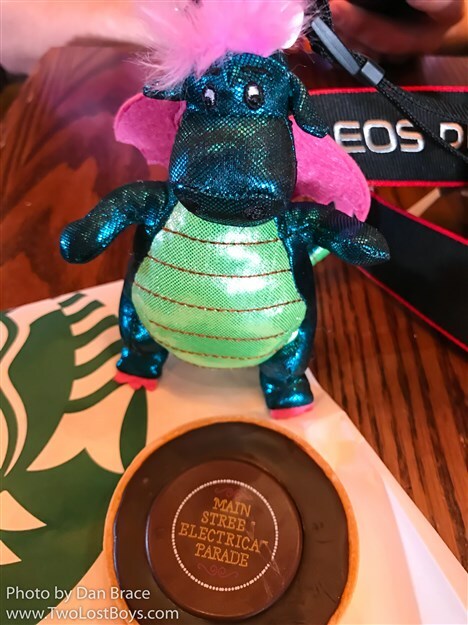 When collecting our button, we were also given the information leaflet about the event. 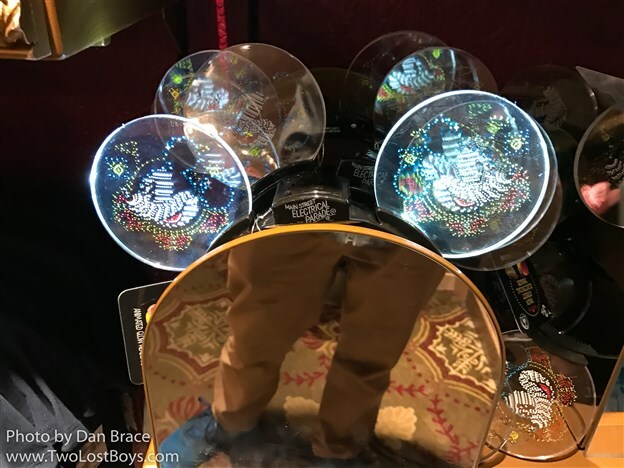 Once inside the AP Welcome Center (that's a lot to type, so I'll just use "welcome center" from now), you find yourself either facing the merchandise line, or a photo location backdrop of the electrical parade drum. 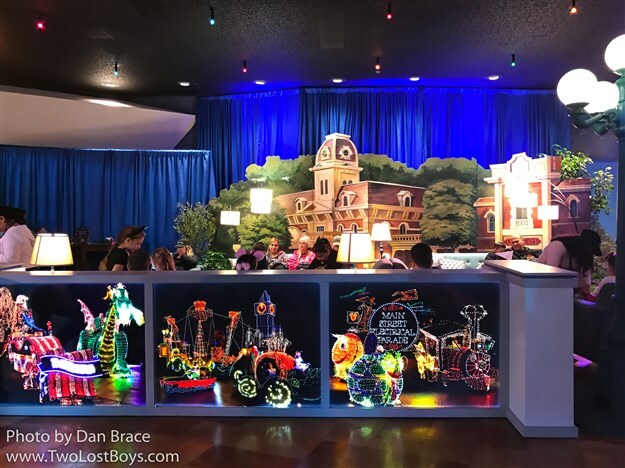 The photo location is nice, but it is situated right in the doorway, and can be a little awkward to try to get a photo. 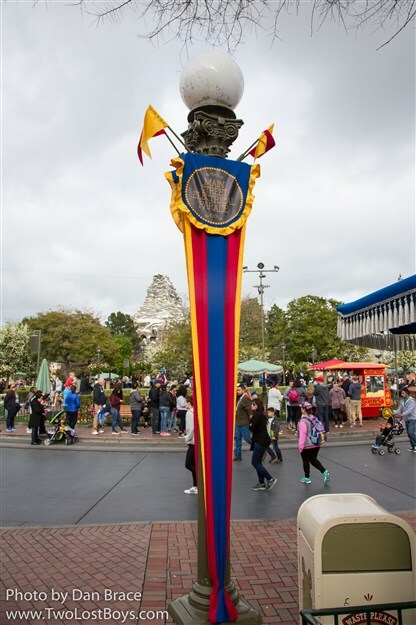 At one point during one of our visits to the welcome center, there was a fairly long line to get a photo there. 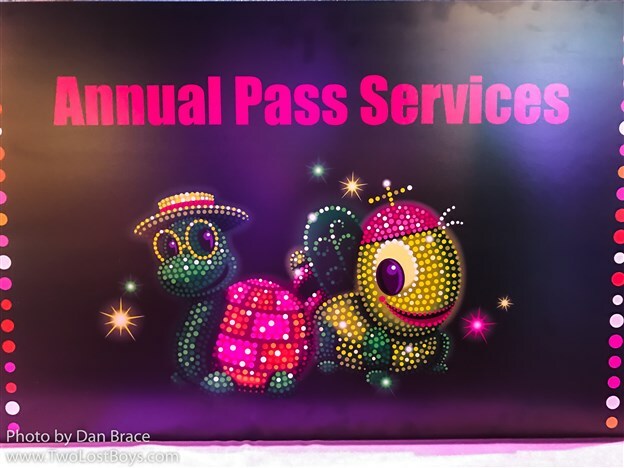 It would also seem that PhotoPass photographers weren't stationed there all day, as we only saw one photographer on our multiple trips inside the welcome center. 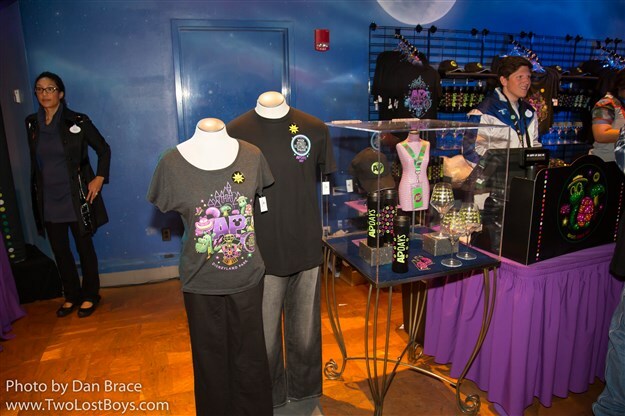 The merchandise location also commands a long line, but moved pretty swiftly. 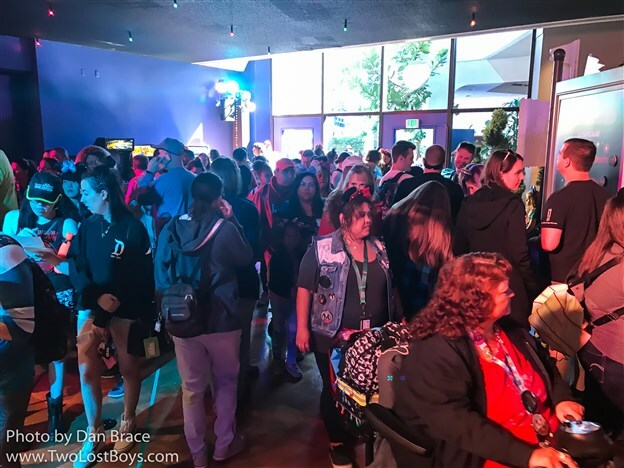 Being only the second day, when we lined up, we were able to get all that we wanted, but be warned that there were continuously long lines all day throughout the weekend, and I would anticipate that by the end of the event in four weeks time, there may be little left. 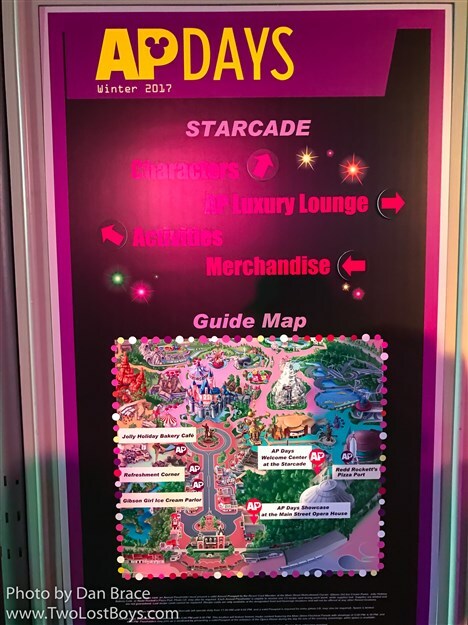 I mentioned a couple of times above about how busy the welcome center was, and I want to point out that the location of it is pretty bad. 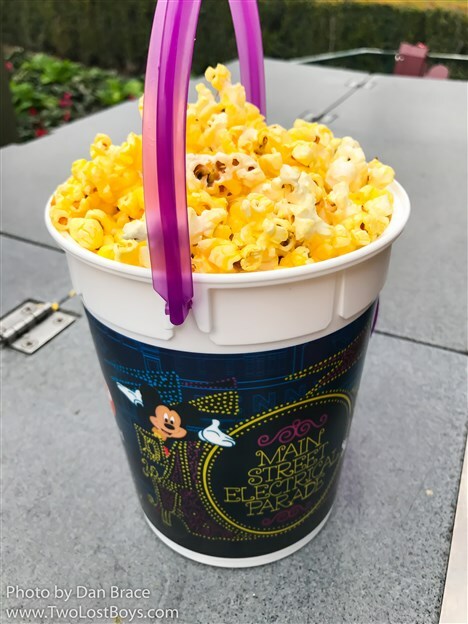 The back of Star Trader is not the biggest to begin with, couple that with the fact that it is situated at the exit to Hyperspace Mountain, restrooms and the Hyperspace Mountain store, it is not very well organised. 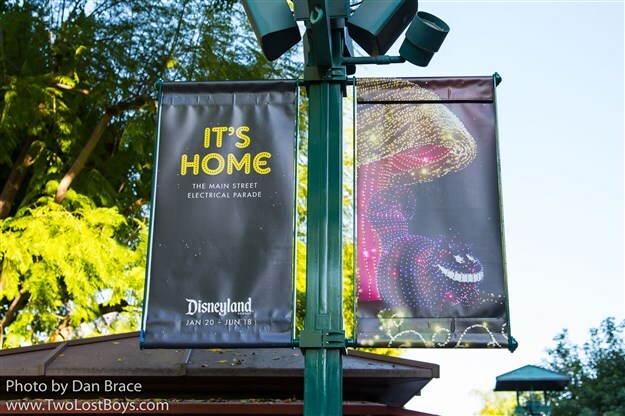 I feel that given how popular these kinds events always are at Disneyland, they needlessly put it in the most awkward location, when they have ballrooms and a convention center over at the resort hotels (as well as lots of space over at Disney California Adventure that is always underused). 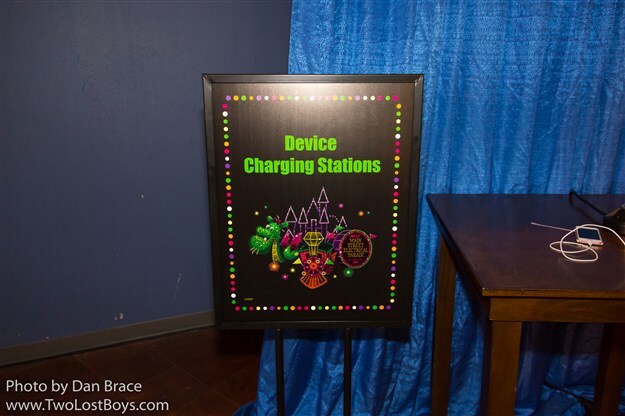 There is a lounge area with a mobile device charging station, and an activities center for children. 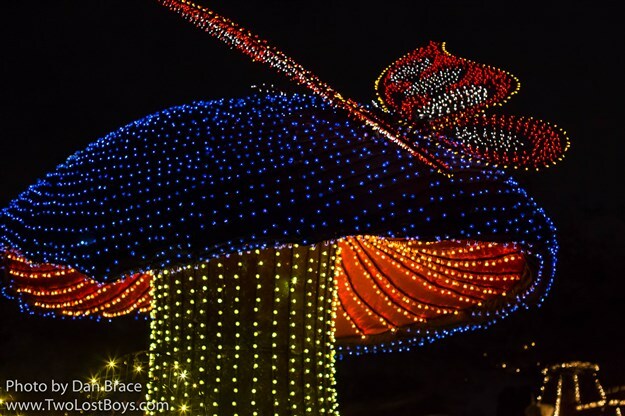 At the activities area you can collect special colourable flags and cut-out electrical parade cardboard floats. 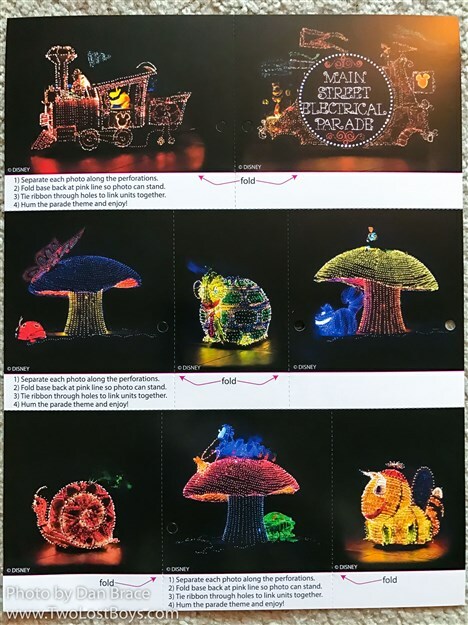 This week's card had just one part of the parade on it - I can only assume that the other three weeks will feature different ones showcasing the rest of the parade, which is a nice idea. 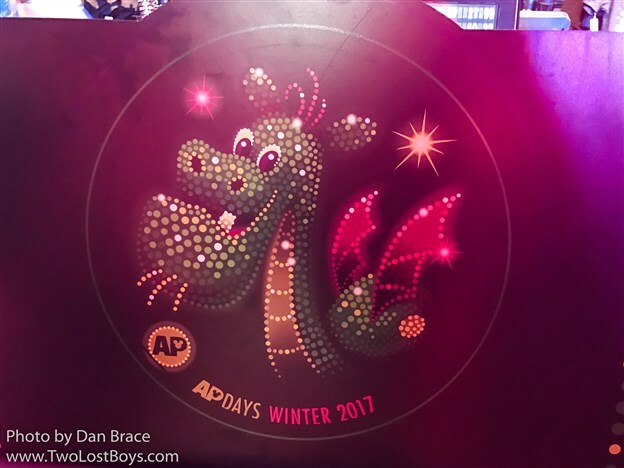 There is also an annual pass service desk, where you can ask questions and deal with pass issues, and a map with the locations of the various AP Days offerings at the park. 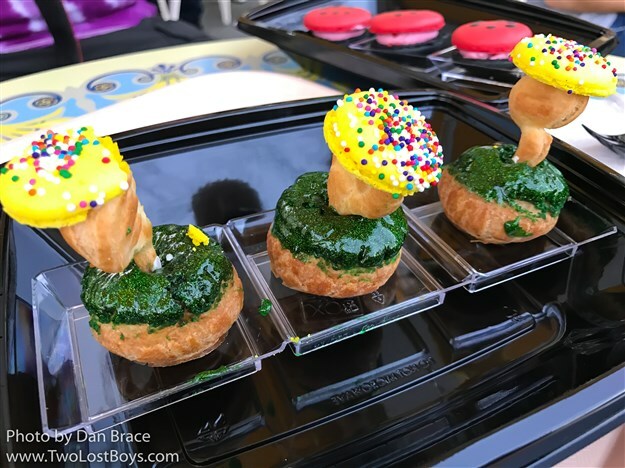 Near the merchandise area there is a case that has a display of some of the treats that can be found at various locations around the park - some of which we tried and I'll discuss later in this report. 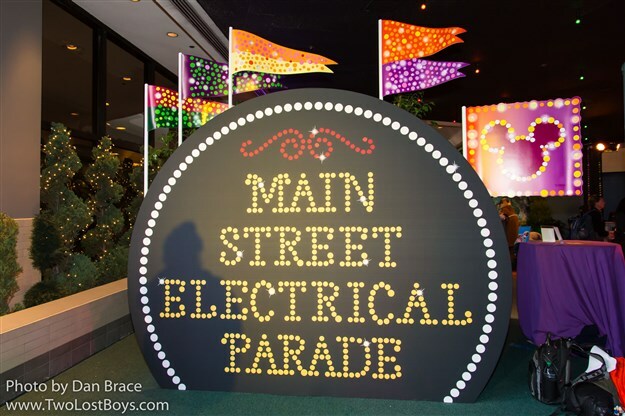 Around the room there are other signs and decor all themed to the parade, which are cute. 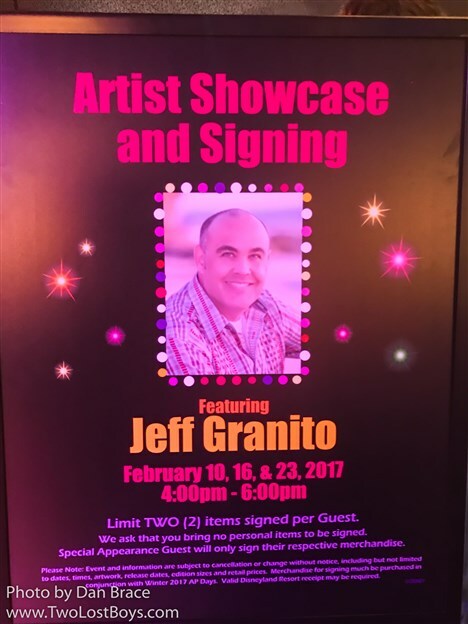 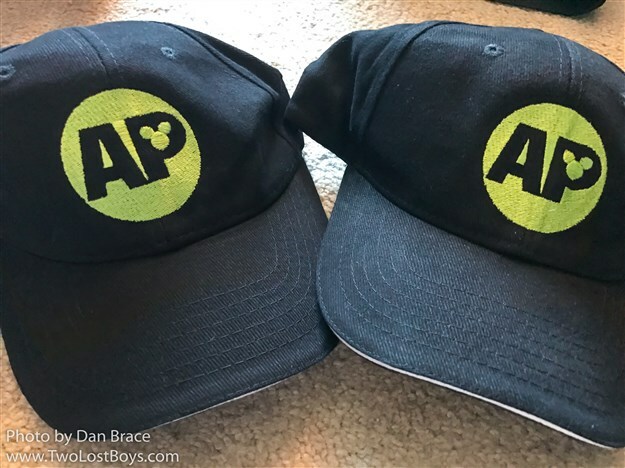 Apparently you could also meet the artist who designed the style of as seen on the AP Days items. 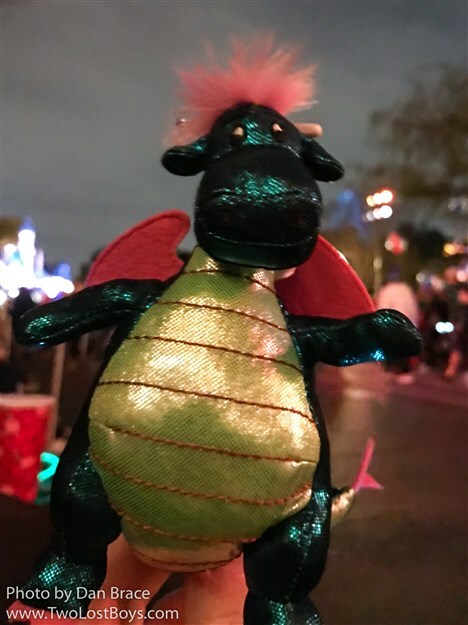 He wasn't there when we were, though. 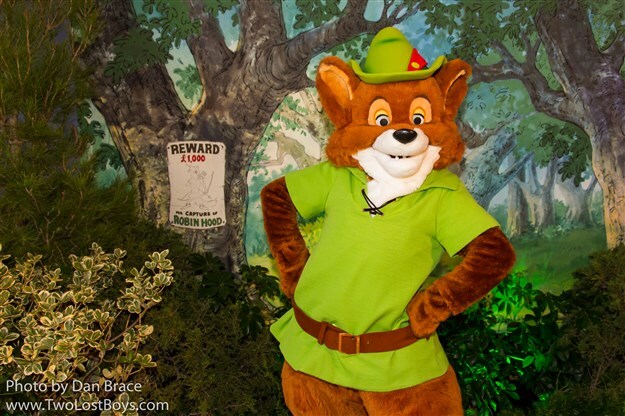 Of course, one of the main reasons for us to go to the welcome center, besides the merchandise, was the characters. 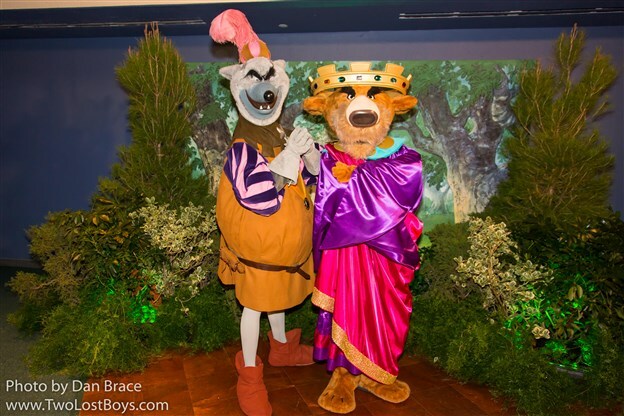 For some reason, even though they are not in the parade, the characters for the first two weeks of the AP Days event are Robin Hood, Friar Tuck, Prince John and the Sheriff of Nottingham. 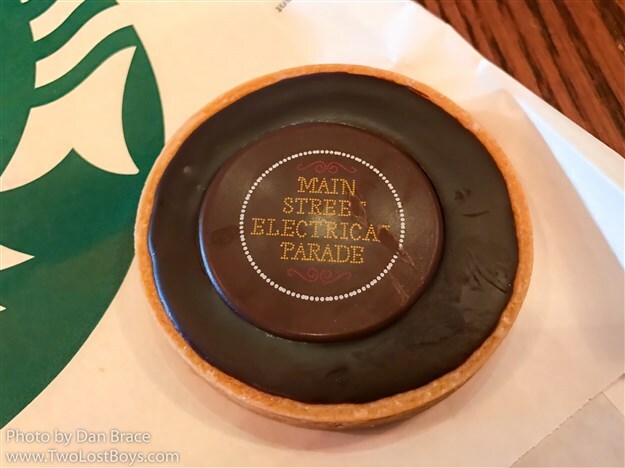 We weren't complaining about meeting them, since they are quite rare in the US, but it is a strange choice. 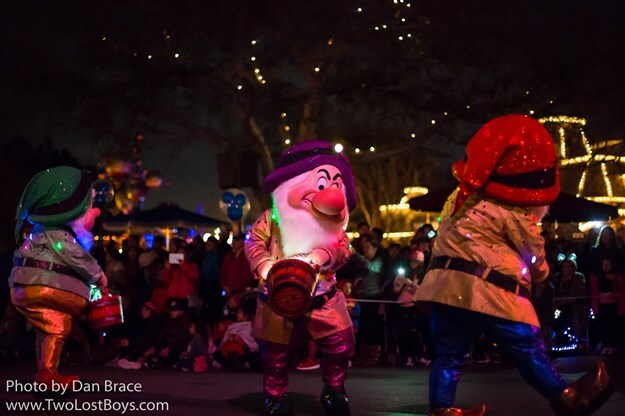 Despite our best efforts, we had to split up meeting the characters over two days, because for some reason Disneyland have decided that you need a ticket to meet the them. 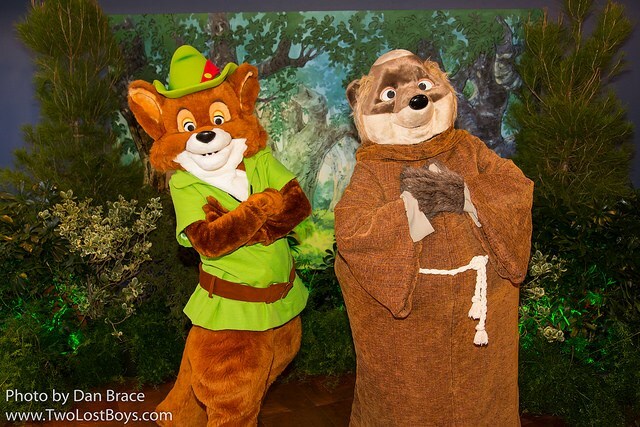 On our first day we could only get return tickets for the Sheriff and Prince John, so we had to once again stand in a 50 minute line on Sunday morning to get Robin Hood and Friar Tuck. 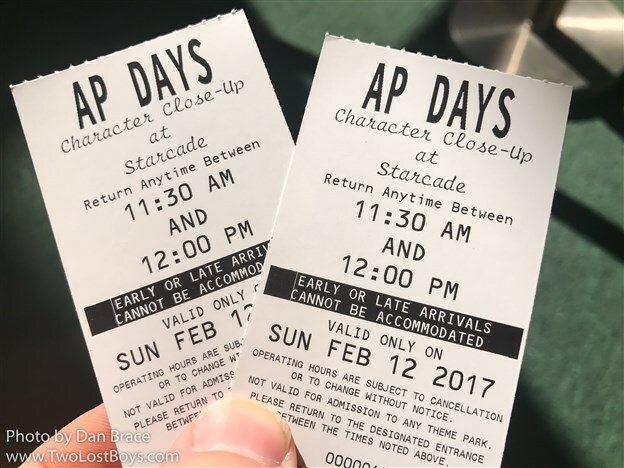 I should point out that if your return time is for later that day, you do not need to stand in the long line outside again - you can show your ticket at the door and come inside to join the line for the character greeting. 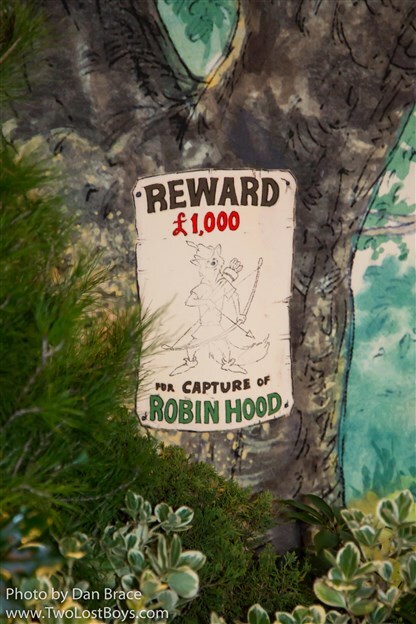 The greeting backdrop is nice, and there is even a wanted poster for Robin Hood on it, which he was happy to pose against for me! 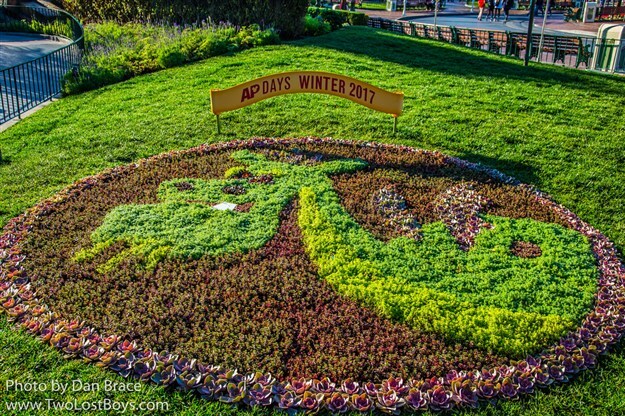 Breaking away from the welcome center, and there are plenty of other AP Days/MSEP offerings around the park. 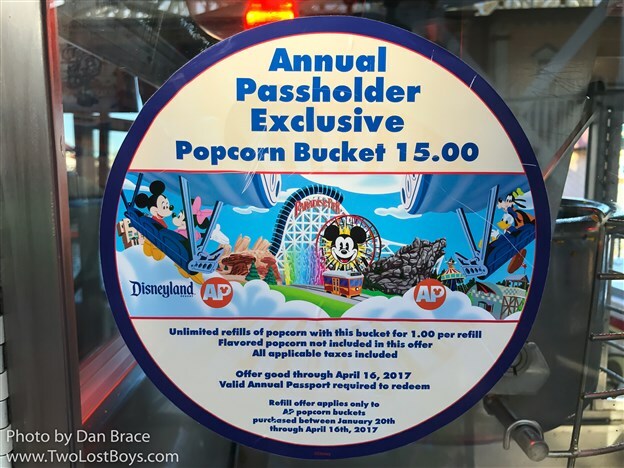 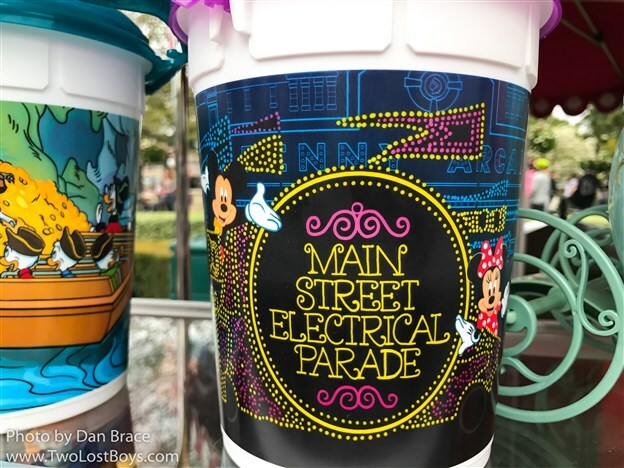 You can get a special AP parade popcorn bucket for $15 (tax included), which, while that is more expensive than a regular souvenir bucket, is refillable for a dollar a time until the 16th April. 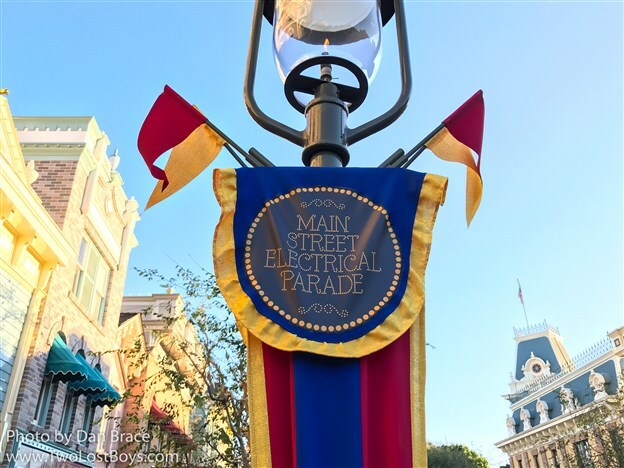 Main Street USA is sporting some festive banners for the parade's final run, and Downtown Disney is also advertising the parade on special banners, too. 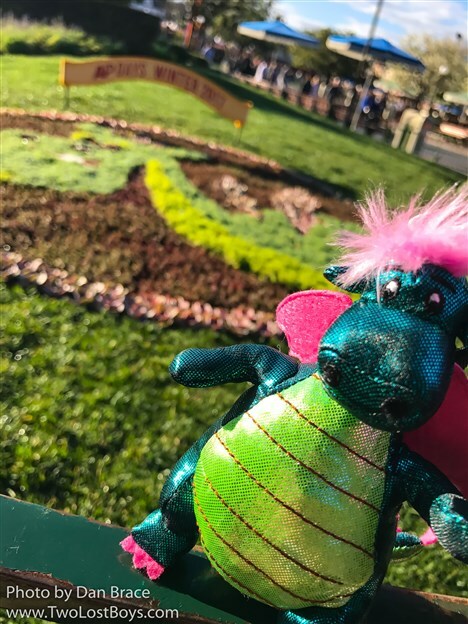 Just off of Central Plaza, near Pixie Hollow, is a cute flower bed especially for AP Days/MSEP, which is designed to be like Pete's friendly dragon, Elliott. 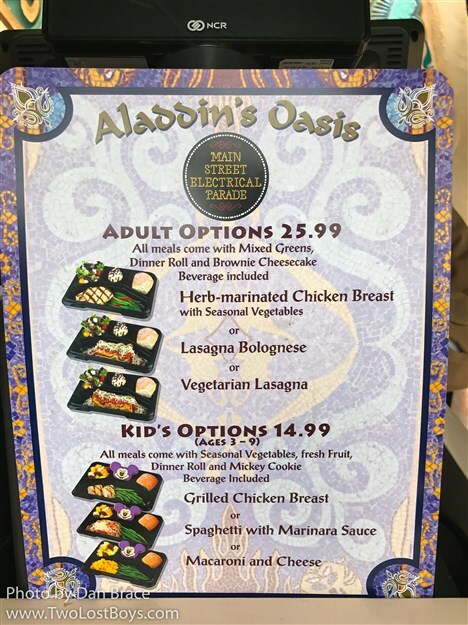 Aladdin's Oasis is offering a special menu for the MSEP, much to my excitement. 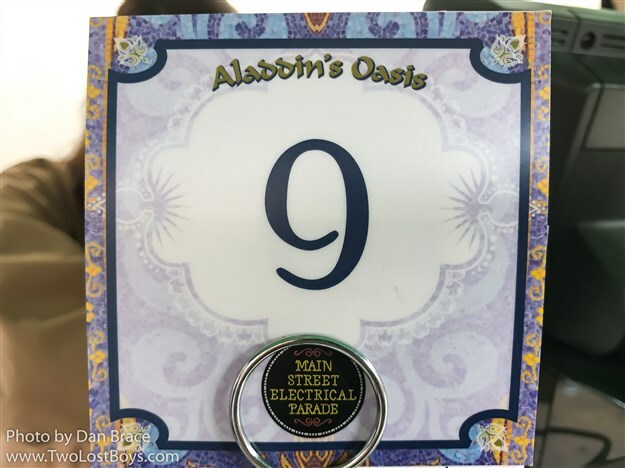 While for a long time now Aladdin's Oasis has been used for character greetings, the use of the family bathroom there, and just as a place to sit, it has not been used properly as a restaurant in eons. 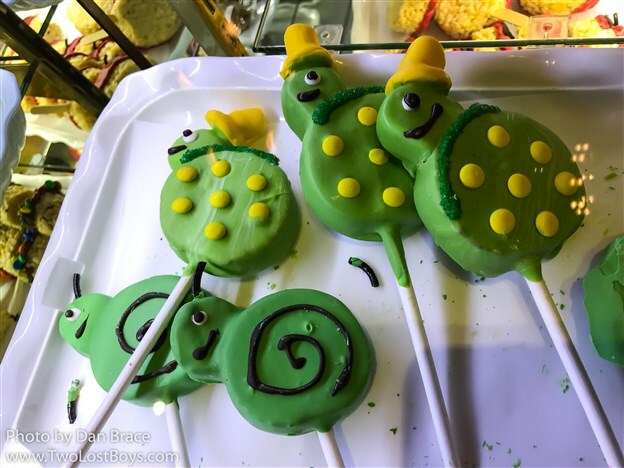 It is nice to be able to order and enjoy food there. 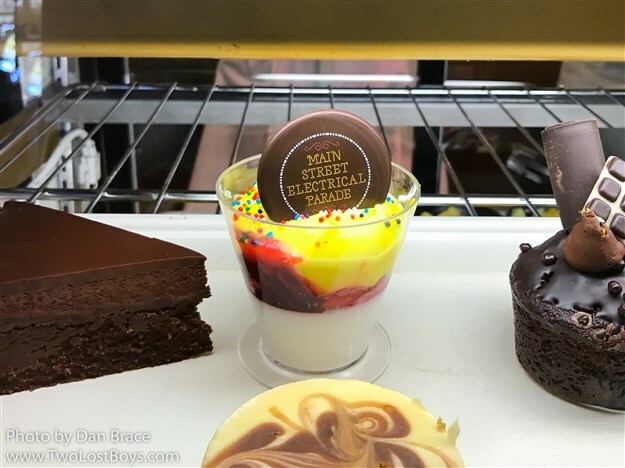 The menu isn't anything special, but what we tried wasn't bad. 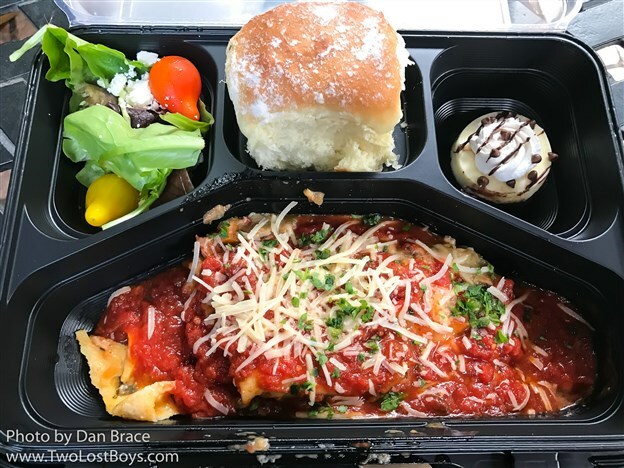 We had the vegetarian lasagne, which came with a side salad, dessert and a drink. 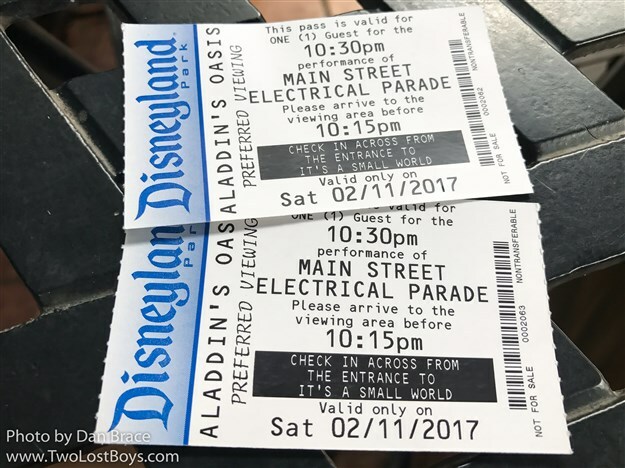 With your meal you also get a reserved viewing ticket for the MSEP later that night. 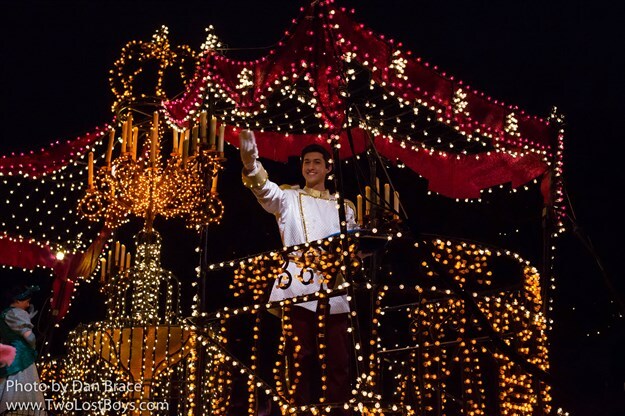 In the end we didn't use ours since we wanted to watch it from a different location, but it was nice to have the option. 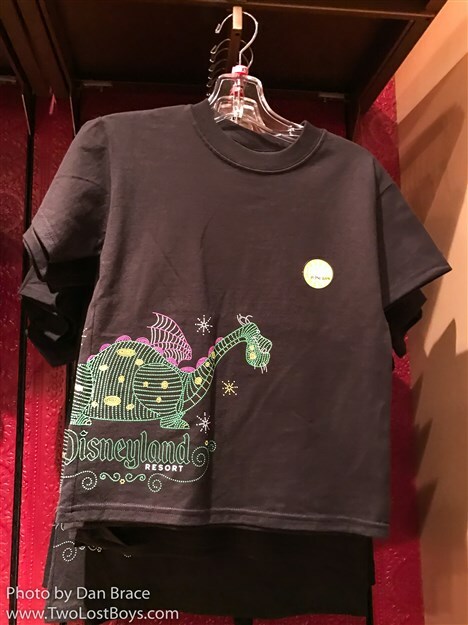 We walked past the location near "it's a small world", where the reserved viewing is located, and it was very busy and quite a small area - so if you decide to utilise this, be sure to get in the line early. 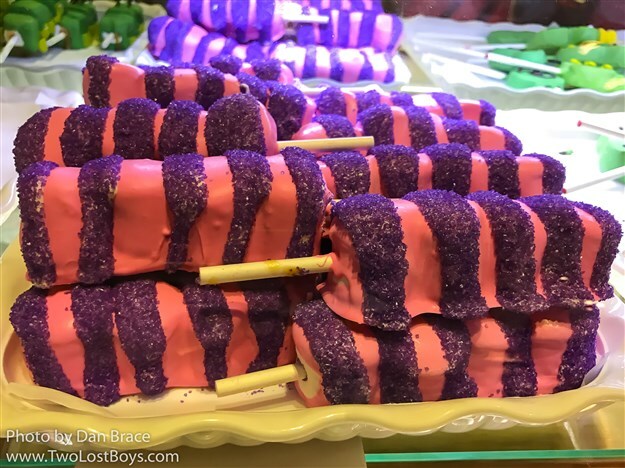 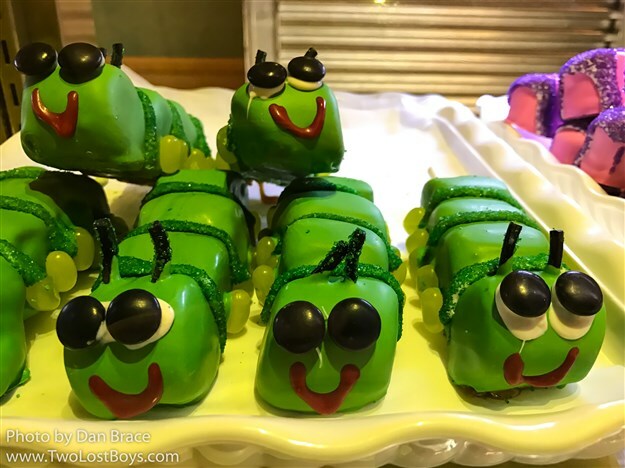 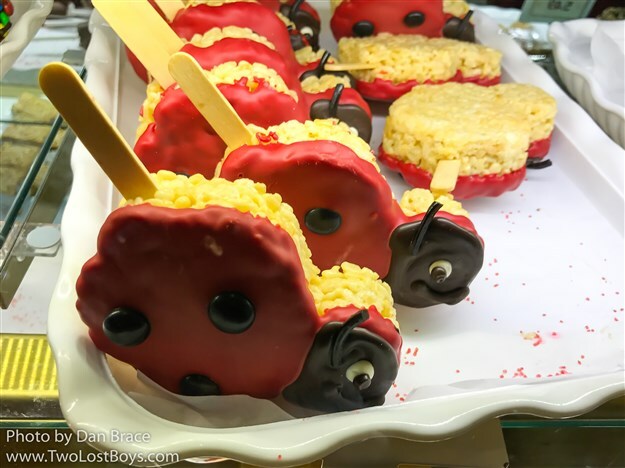 While we're on the subject of food, I am going to mention the various sweet treats to be found across the park. 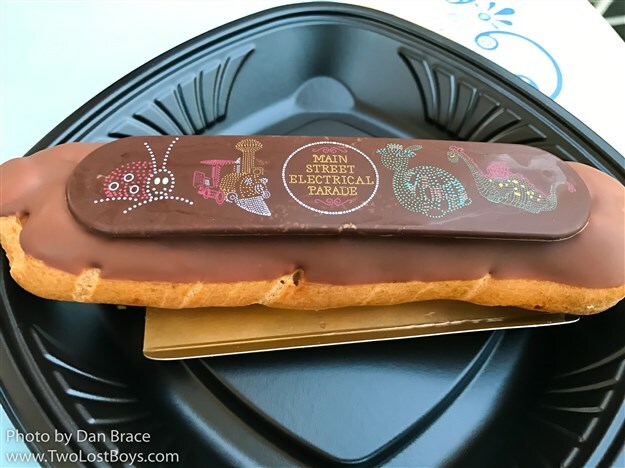 Obviously due to time constraints, and the fact we couldn't just spend all day eating cakes (as much as I would like to! 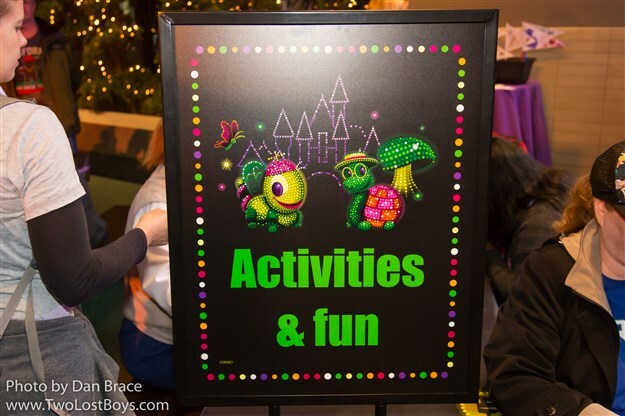 ), we didn't get to try everything. 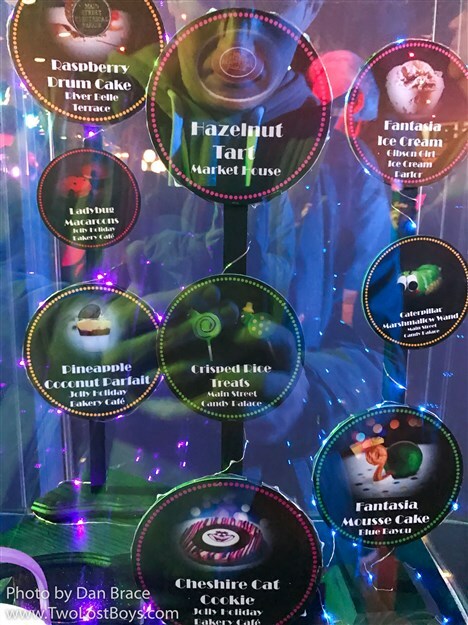 The things that we did try however were really tasty, and I would recommend any one of them. 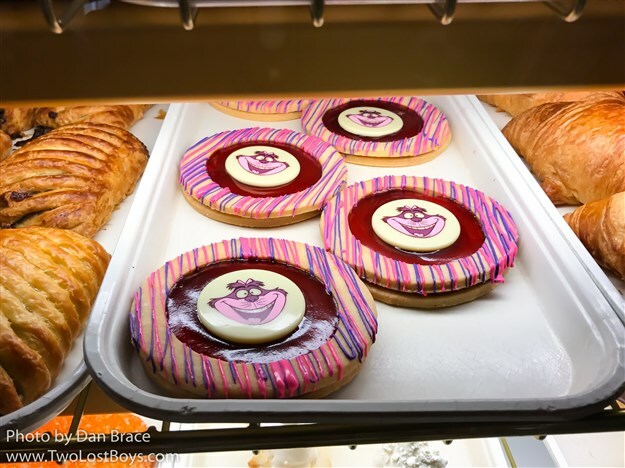 Of course, even the ones we didn't try, I took photos of. 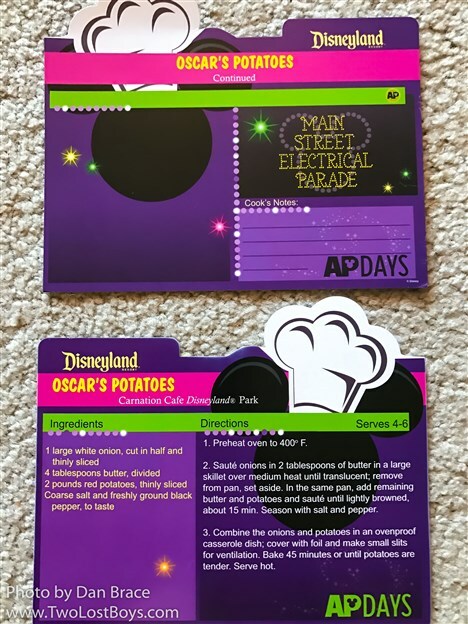 A few of the dining locations around the park are handing out special menu cards to AP holders, which feature recipes for popular Disneyland menu items. 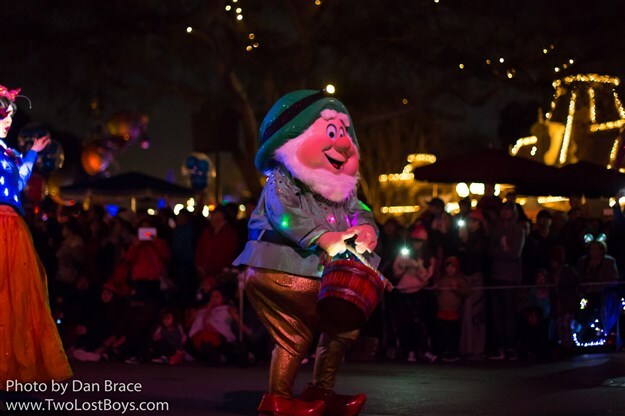 This week it is Oscar's Potatoes. 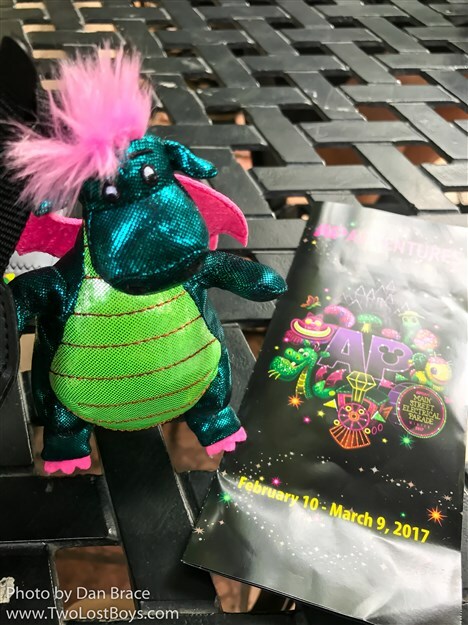 As with the other things they are handing out, I will assume that these will change each week of the event. 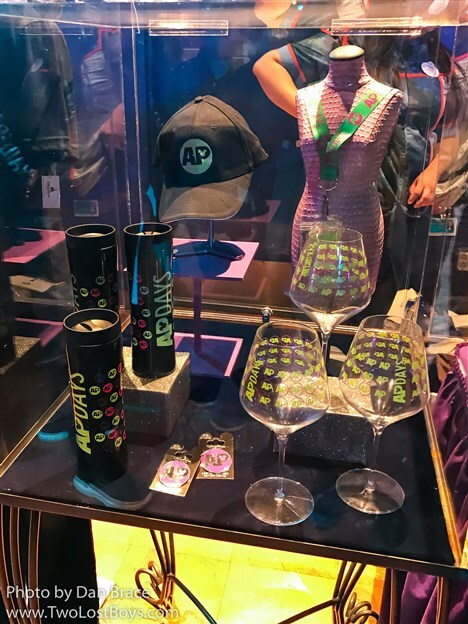 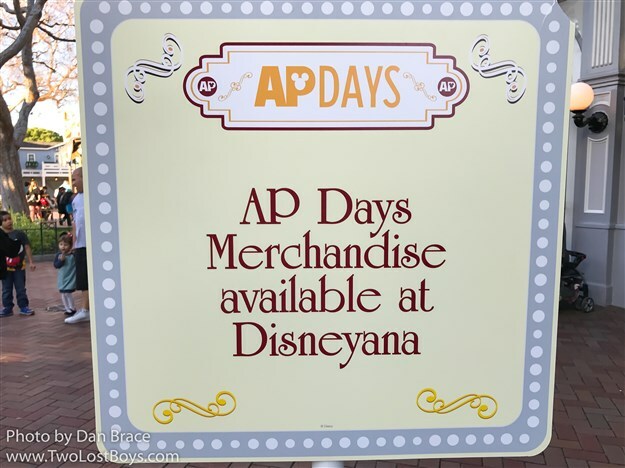 Some additional MSEP merchandise is available at Disney Showcase, and select AP Days items are being carried at Disneyana. 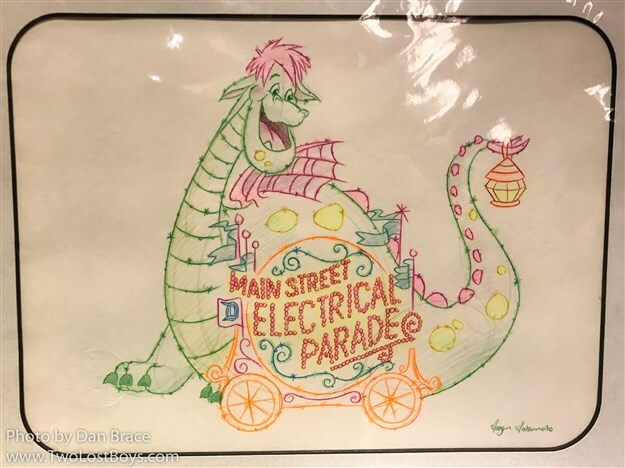 Disneyana is also the place to buy the specially commissioned artwork for the MSEP, of which there are several options. 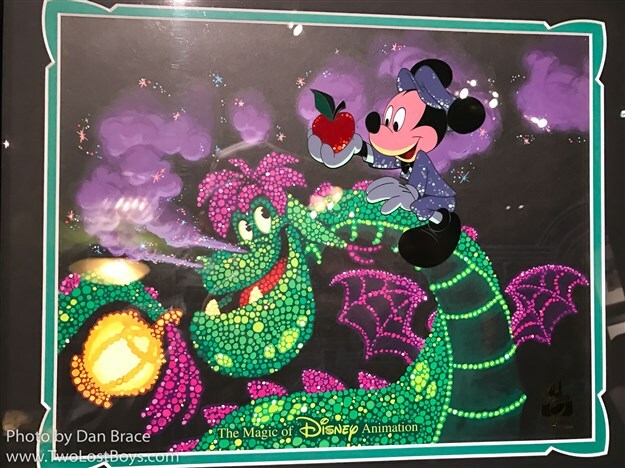 There is a really beautiful Mickey and Elliott piece that you can buy framed, that comes with a postcard and a pin, and then a special UV/black light piece that features just Elliott. 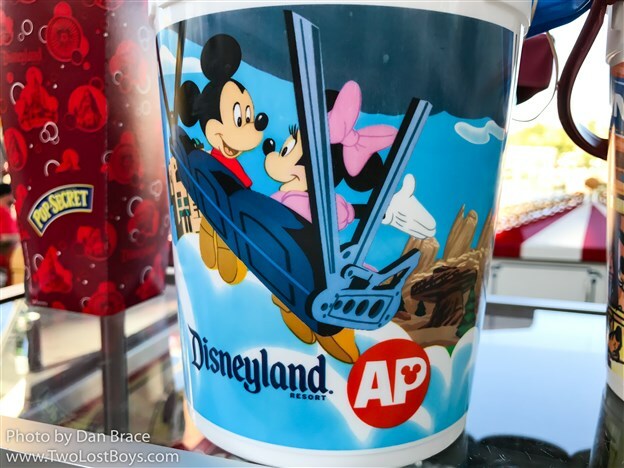 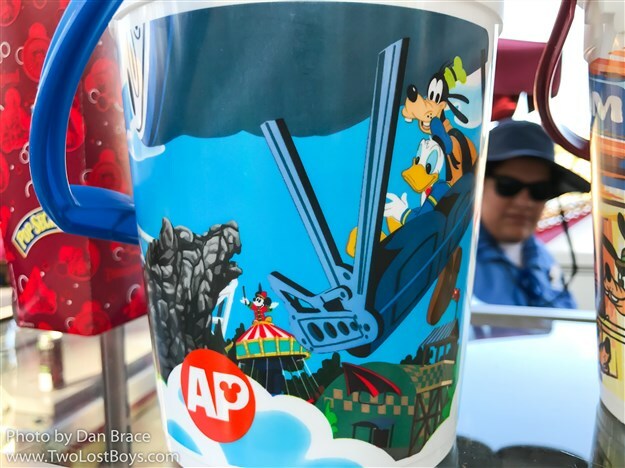 For AP Days, Disney California Adventure also has its own refillable popcorn bucket, which features Mickey and friends taking a flight on Soarin'. 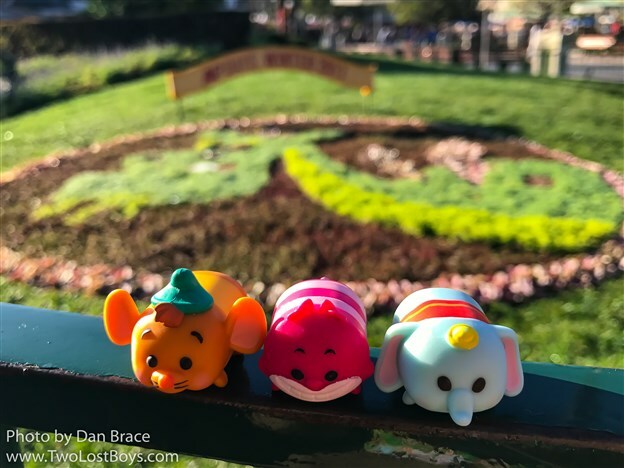 Before I finally move on to the parade itself, I wanted to share with you some fun photos of our Elliott mini-plush and our conveniently MSEP-themed Tsum Tsums having fun around the park during our trip (Dumbo used to be in the parade, in case you wondered)! 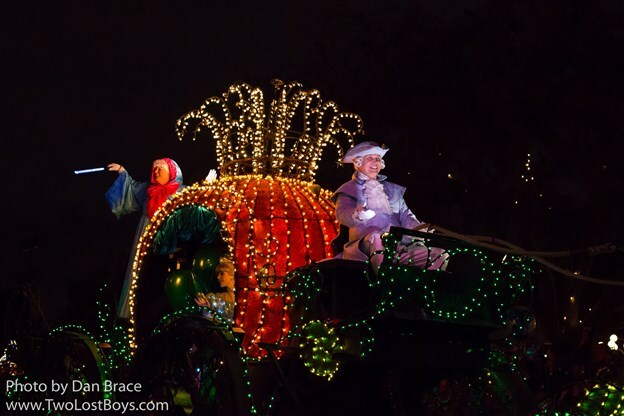 We watched the parade on Saturday night. 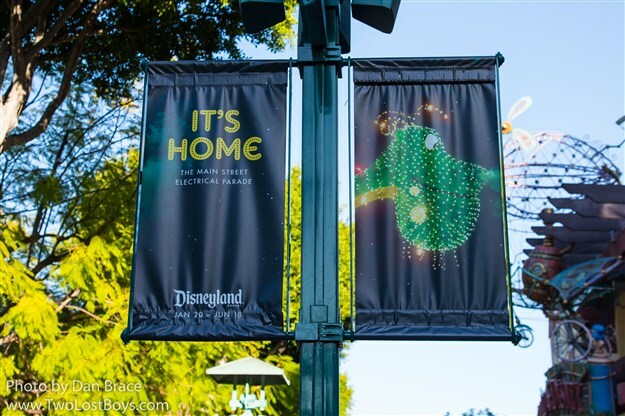 We started noticing people waiting for the 8.30pm presentation at least four hours beforehand, so with our trusty parade mats (from Tokyo no less), we picked a spot near Refreshment Corner, and waited it out. 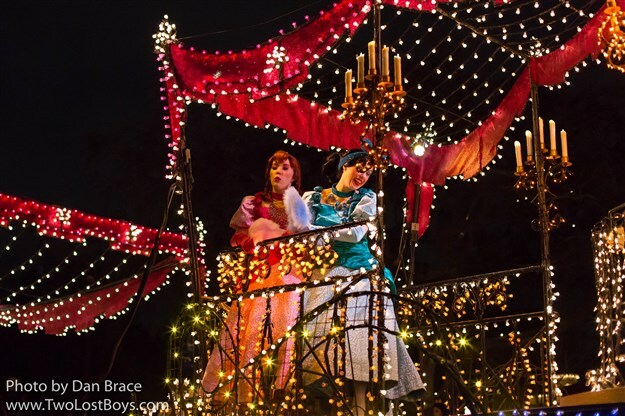 I didn't want to have to wait that long, but the way things were looking, we wouldn't get a very good position if we didn't. 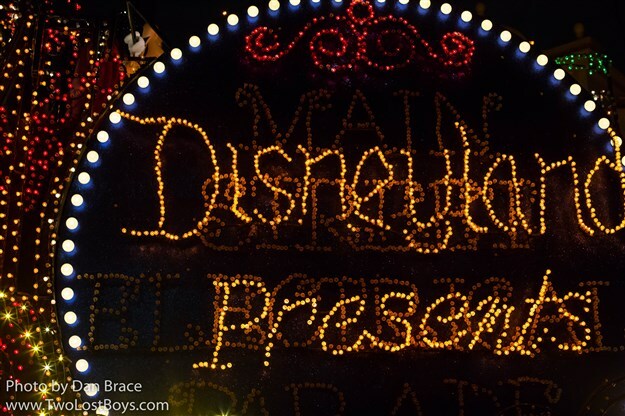 Having the mats helped, because it meant we could define our personal space, and then take it in turns to go off and take photos, get food, and use the bathroom, etc - so it didn't end up being too bad of a wait. 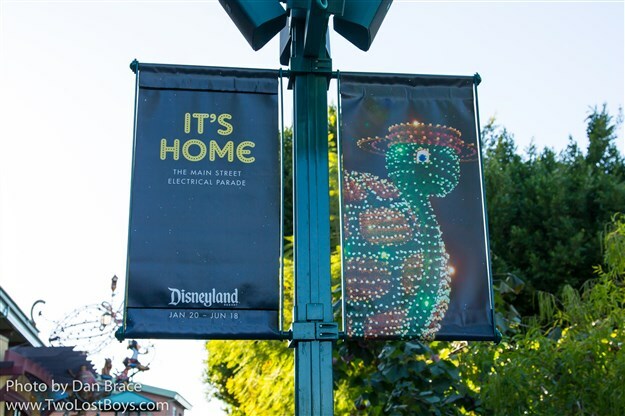 When the parade announcement came I was pleasantly surprised to see that they are using the spotlights to add some "glow" to the street during the announcement. 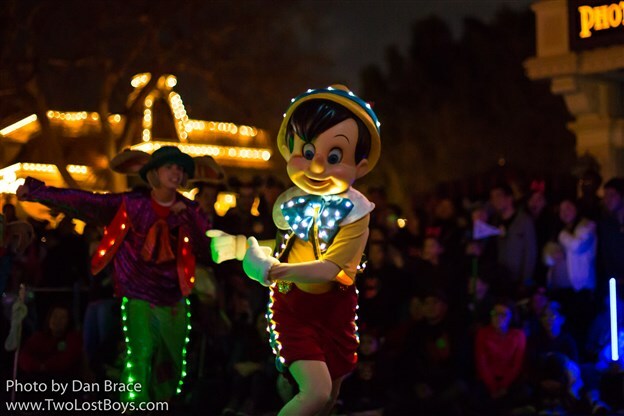 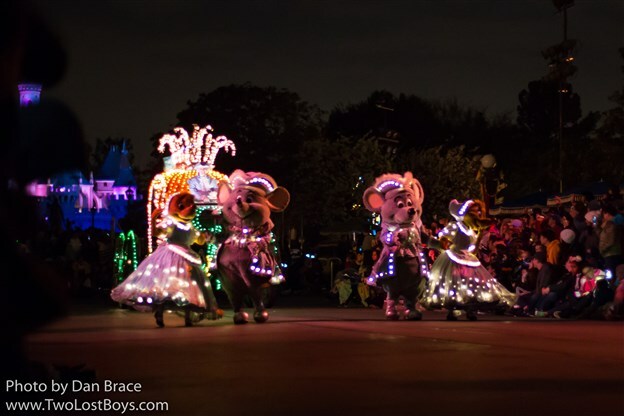 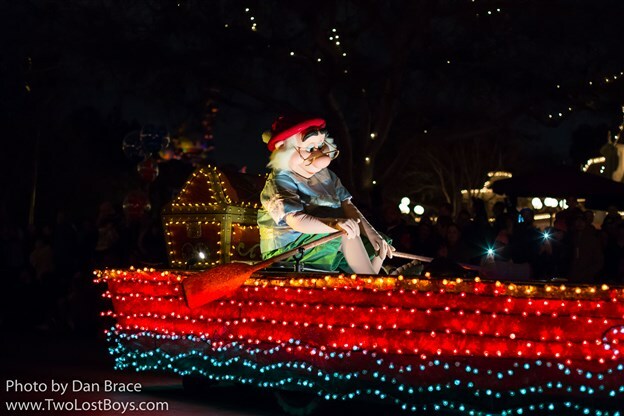 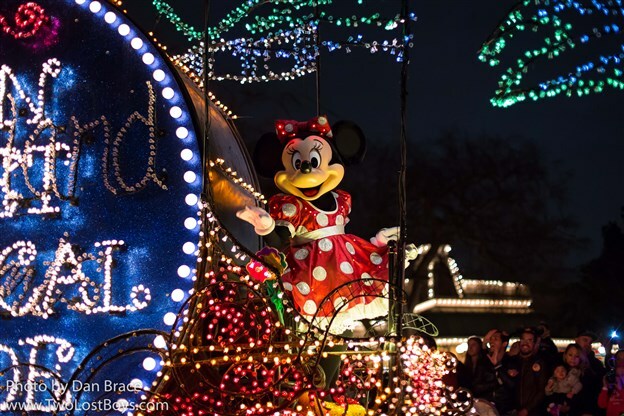 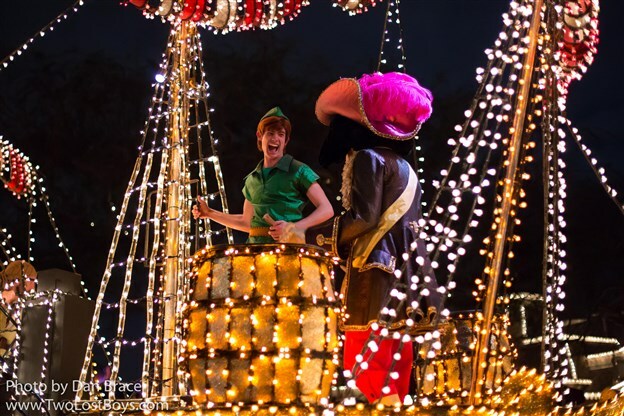 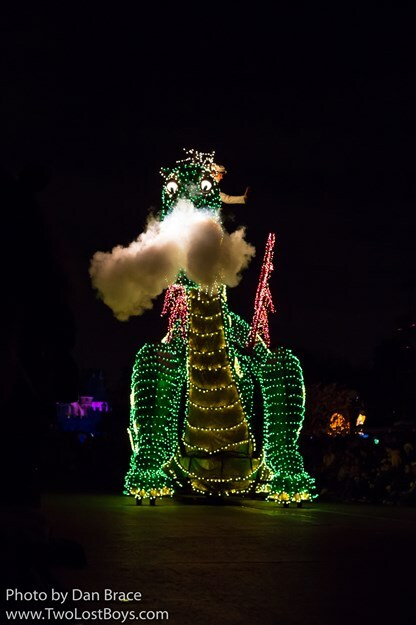 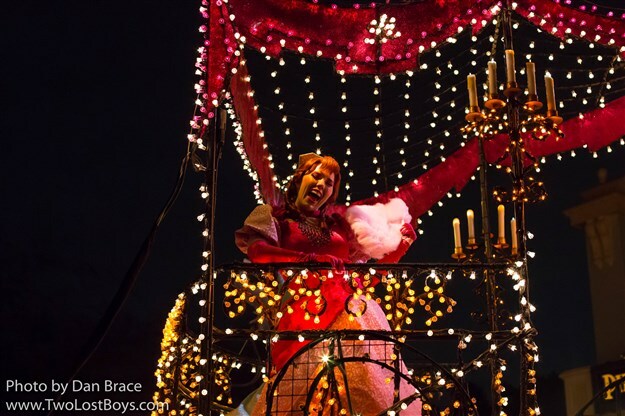 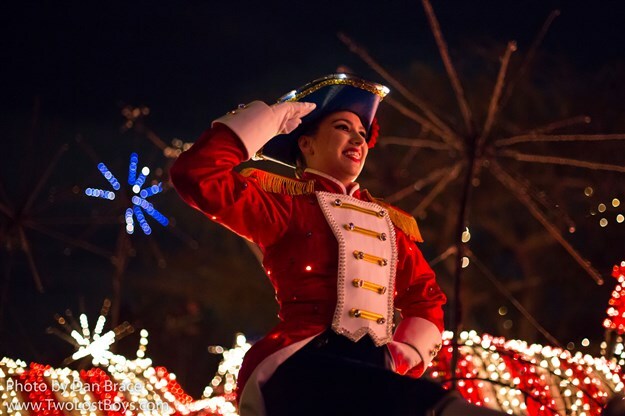 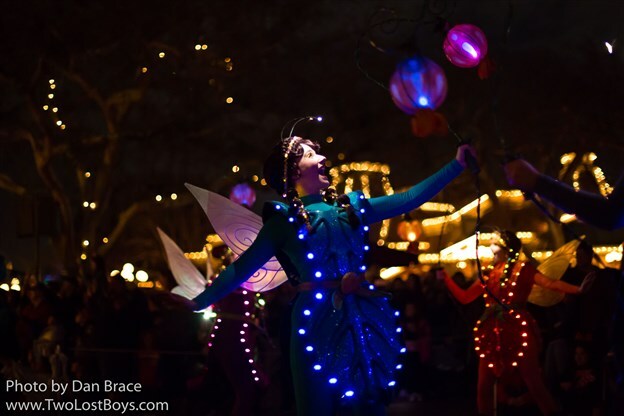 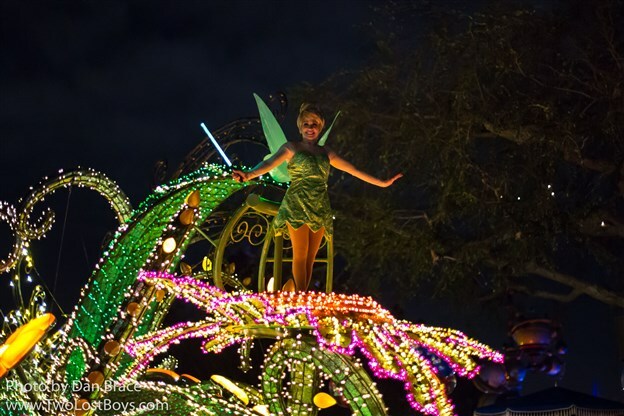 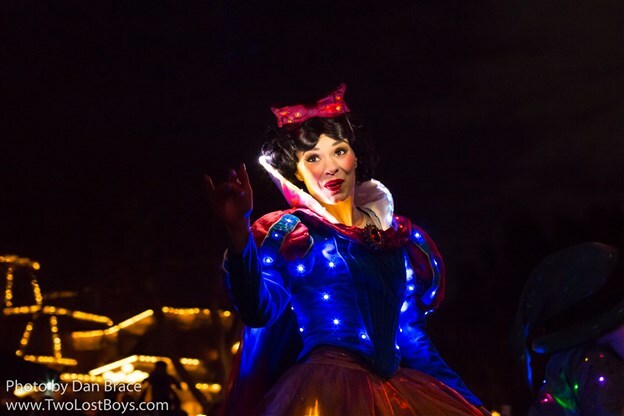 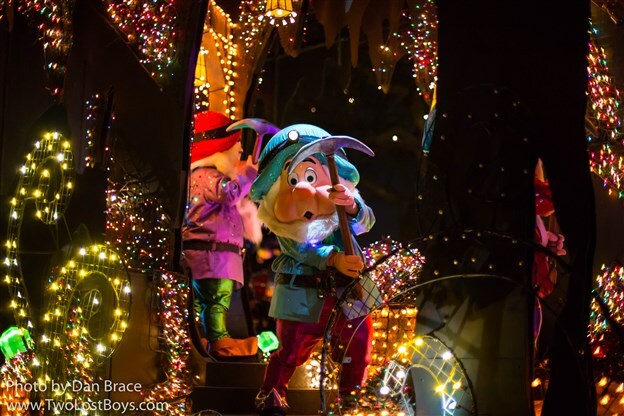 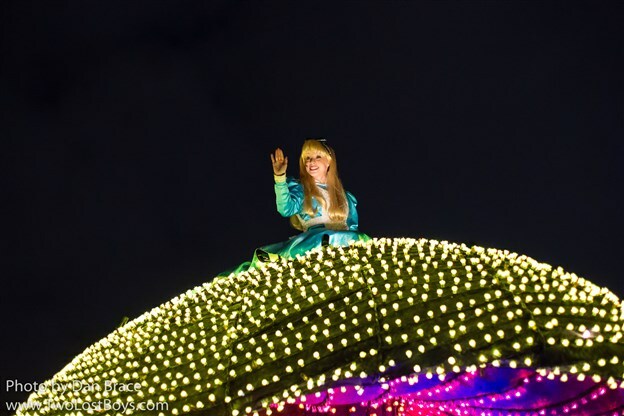 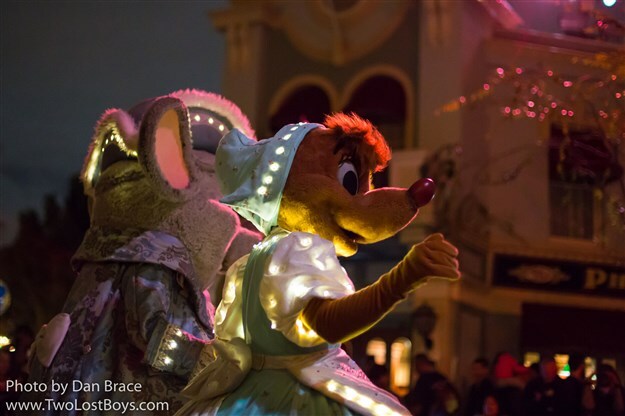 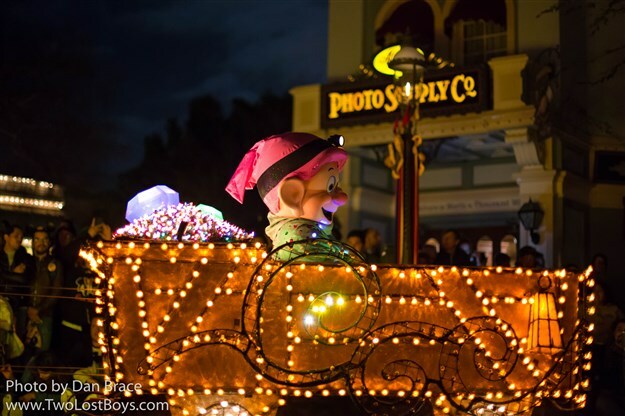 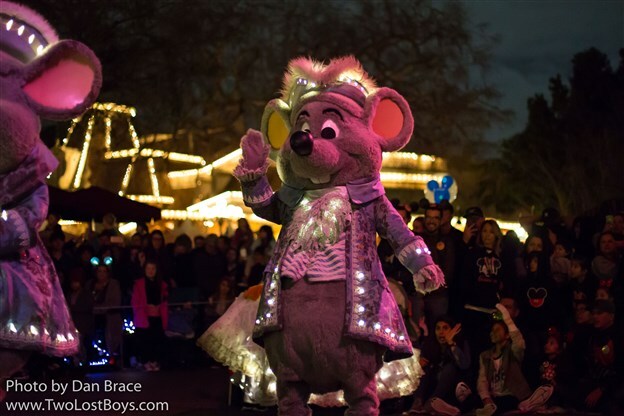 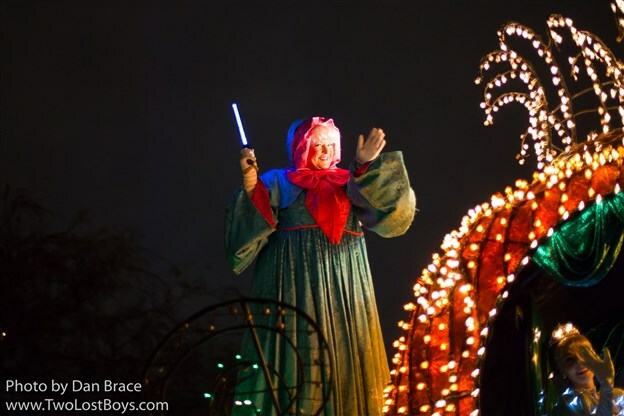 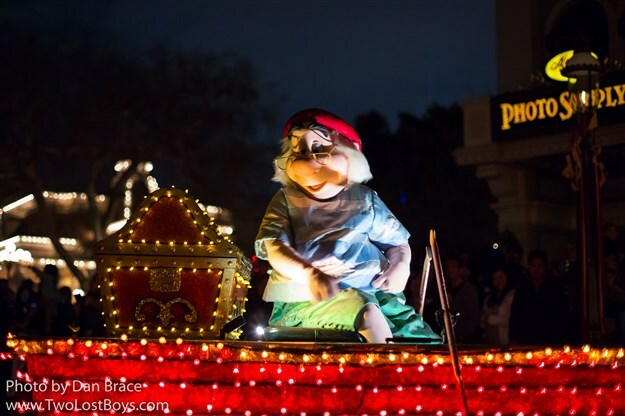 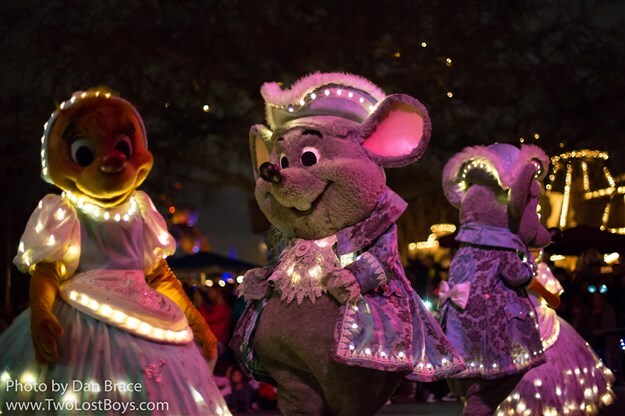 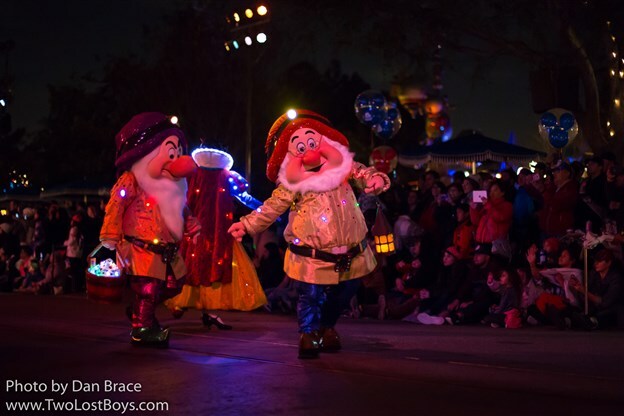 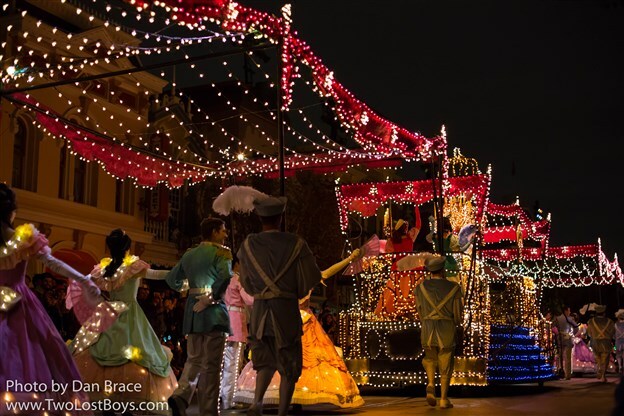 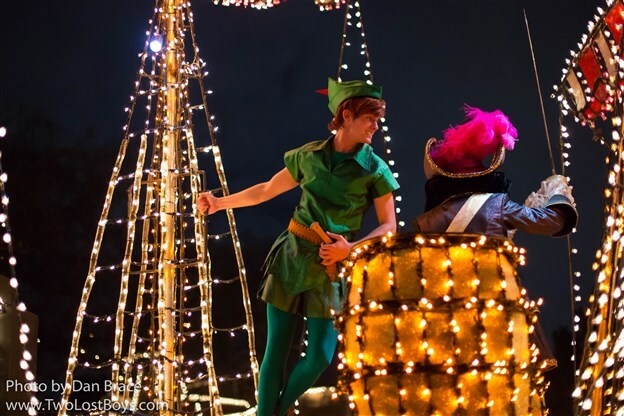 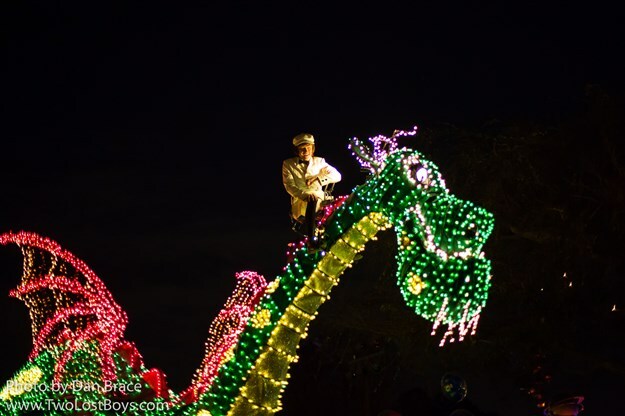 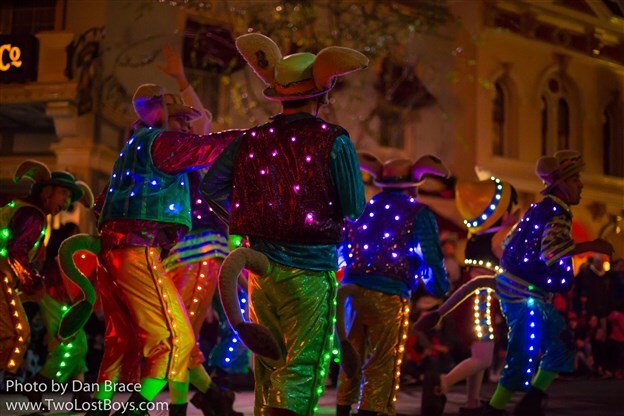 They continued to use the spotlights intermittently throughout the parade to highlight various characters that may have been in almost complete darkness in the past. 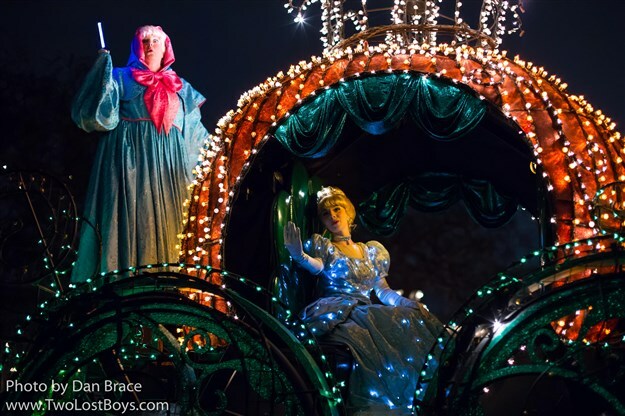 When the parade finally arrived, people went wild. 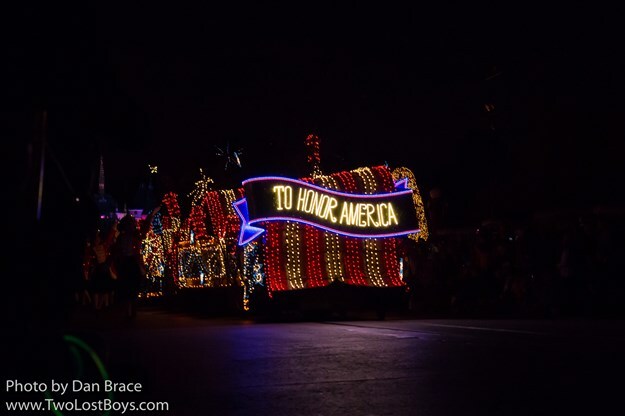 I have never seen this kind of reaction before to a parade, and it was quite interesting. 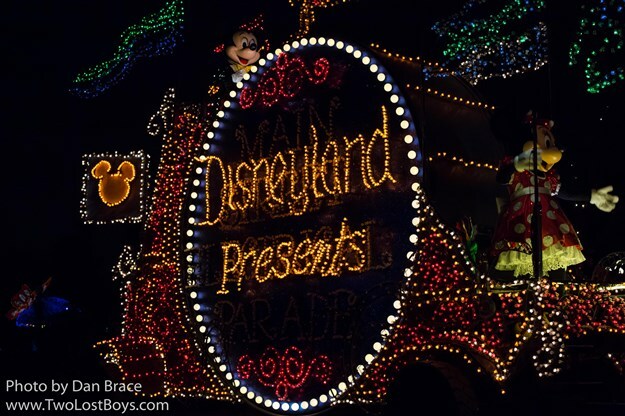 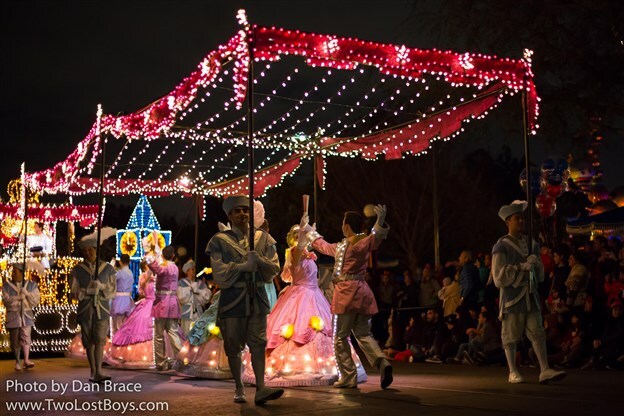 The parade does look good, and you can tell that Disneyland have tried to spruce it up some, following its 6 year tenure at Walt Disney World. 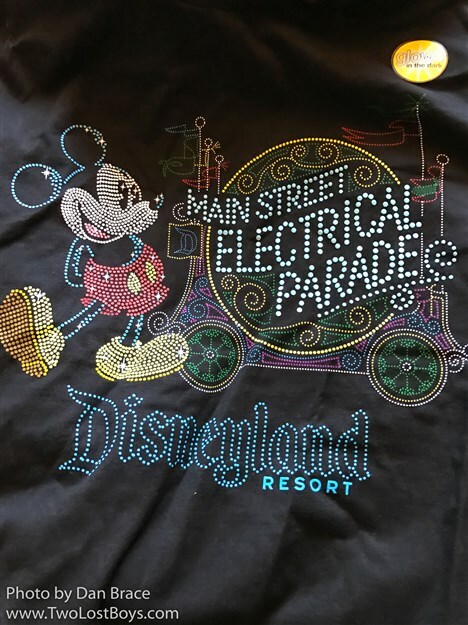 While I have seen the parade many times at Walt Disney World, and when it used to be at Disney California Adventure, I have to admit, it was nice to finally see it on Main Street in Disneyland. 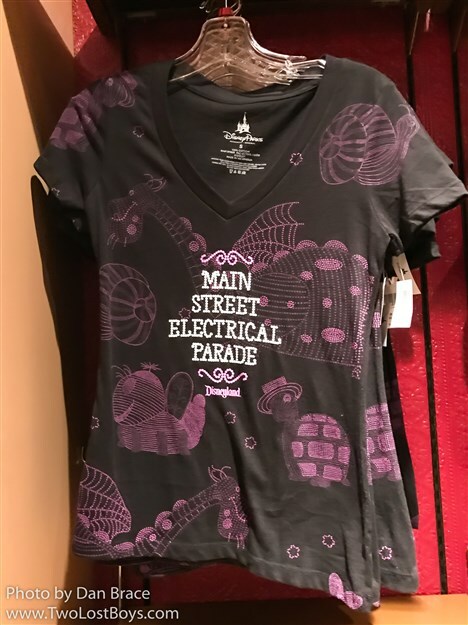 To me, it definitely felt like it belonged there. 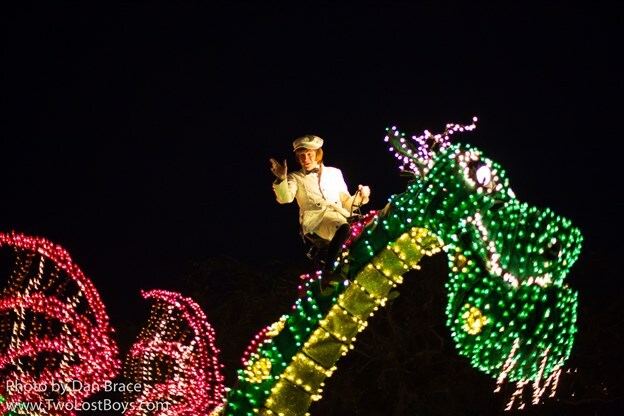 Without further ado, here is a (large) selection of my photos from the Saturday 11th February 8.30pm presentation of the Main Street Electrical Parade. 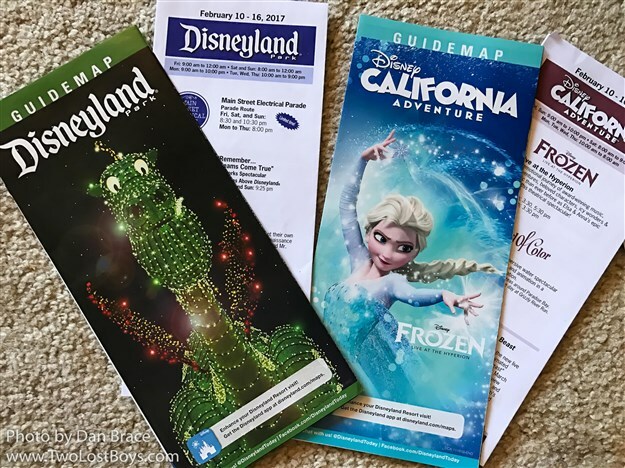 In the coming days I plan to write a short report on the rest of our trip to Disneyland, so be sure to look out for that here on the blog.